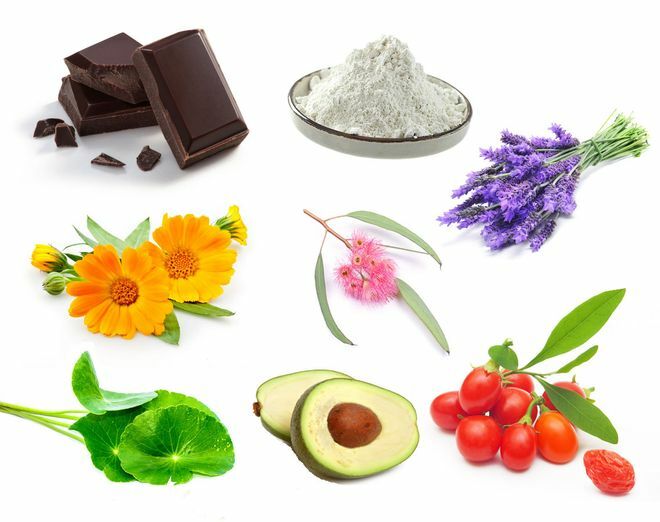 We rely on beauty products and their ingredients to repair, correct and maintain our skin, body and hair. But do you know what each ingredient does? 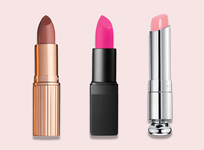 From chocolate to watermelon, click through the ultimate guide to beauty ingredients. 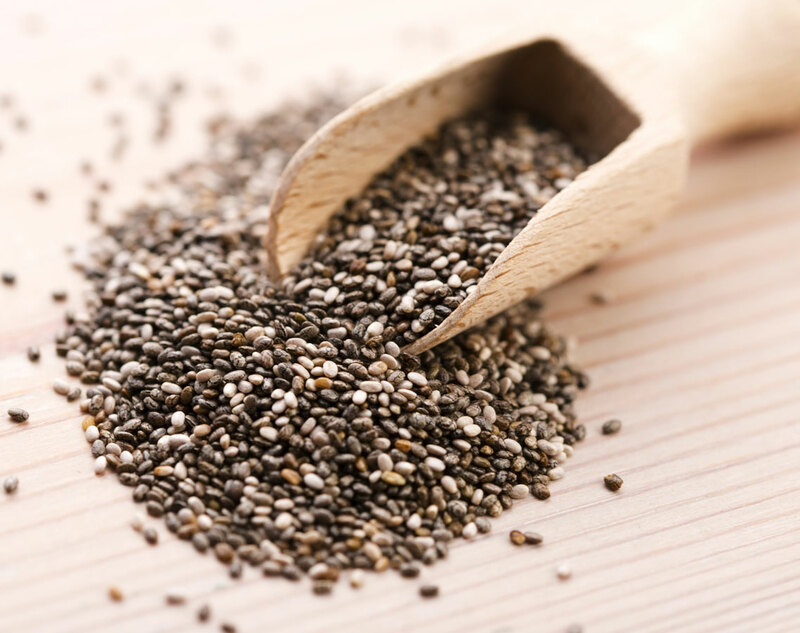 Known as one of nature’s finest free-radical fighters, this superfood combines antioxidants, vitamins, amino acids and omega fatty acids to reverse signs of aging. 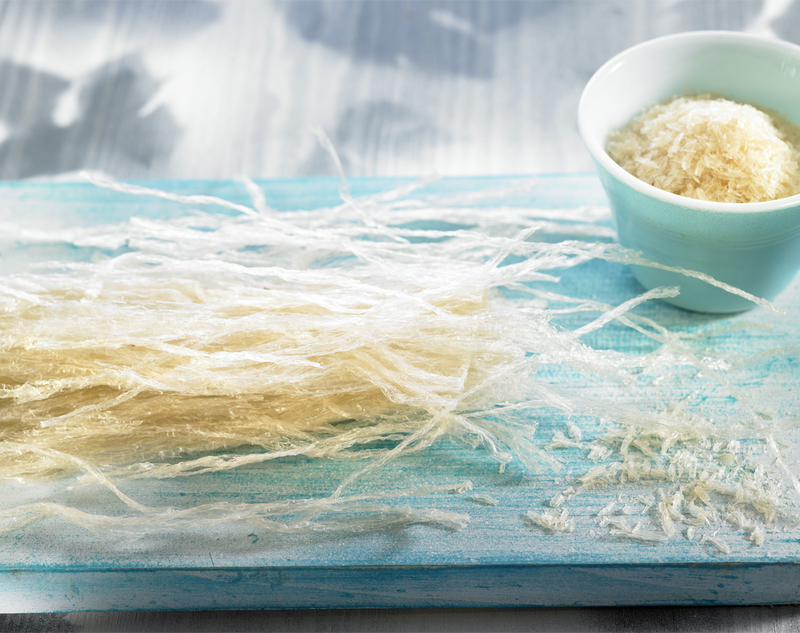 The product of several species of seaweed, agar is a gelatinous substance that’s high in fiber, calcium and iron. 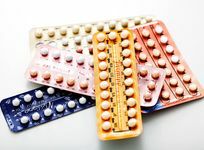 Its proclivity for expansion works both as an appetite suppressant and a skin and nail strengthener. A natural alternative to refined and artificial sweeteners, this honey-like ingredient is a good choice for sweetening foods and drinks due to its low glycemic index value. 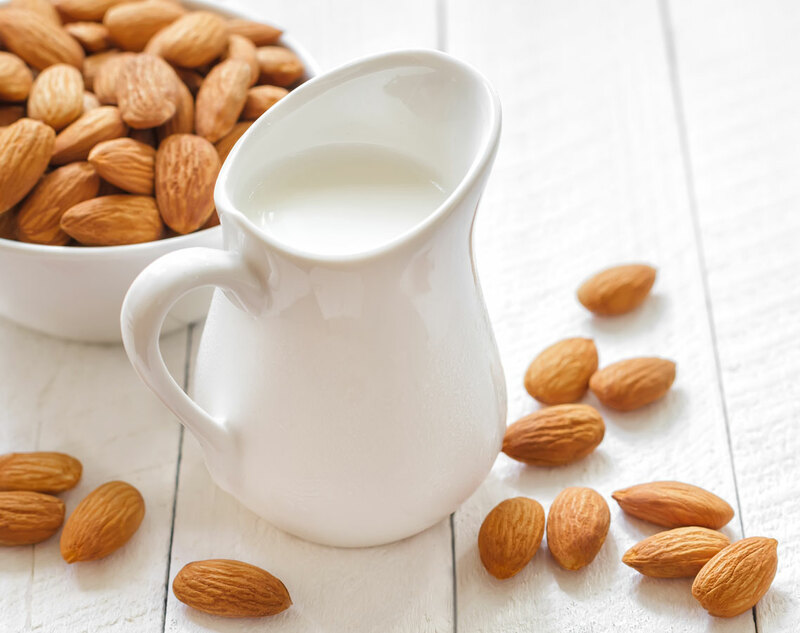 A tasty alternative to milk, almond milk is increasing in popularity. With benefits like aiding in reducing blood pressure and providing skin with a radiant glow, who wouldn’t give this healthy drink a try? 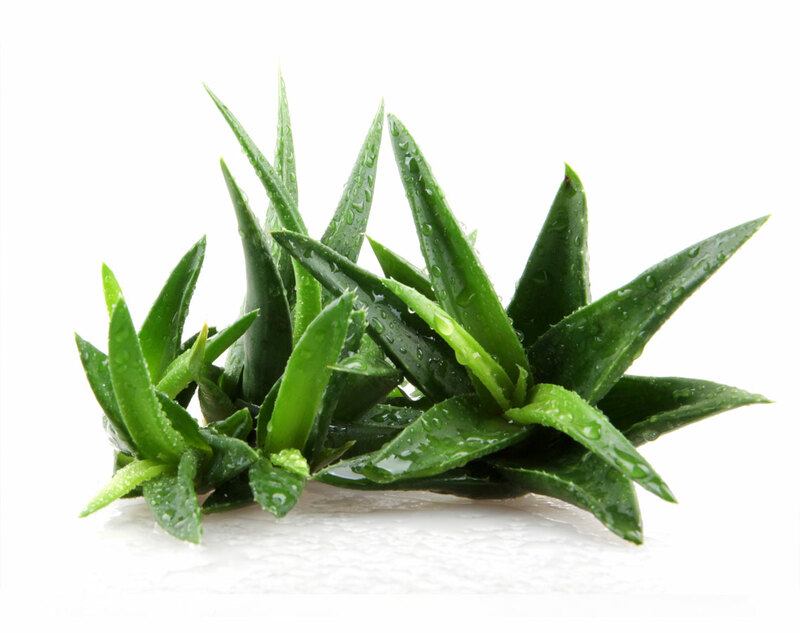 Straight from the leaf, aloe vera has been a main go-to for healing burns caused by radiation damage. 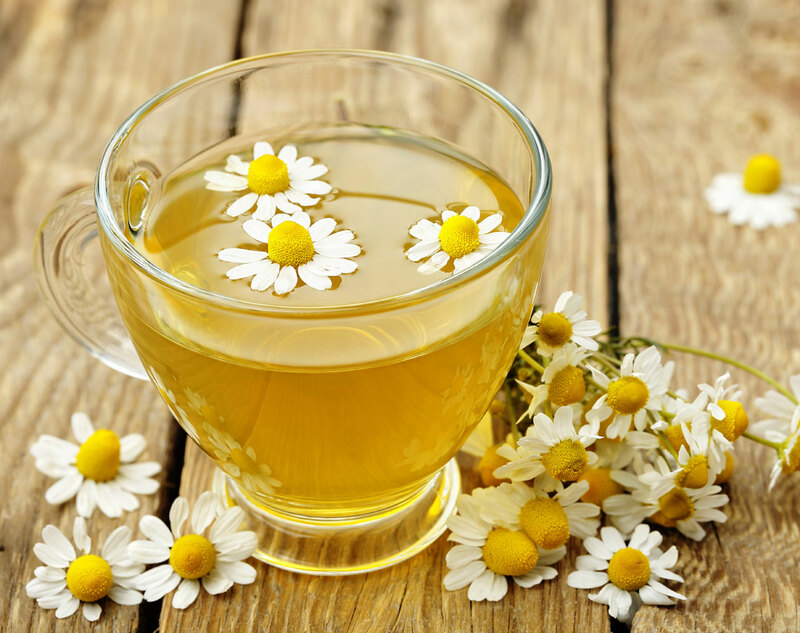 It also helps soothe skin conditions such as psoriasis and sunburn, and may reduce constipation if taken orally. 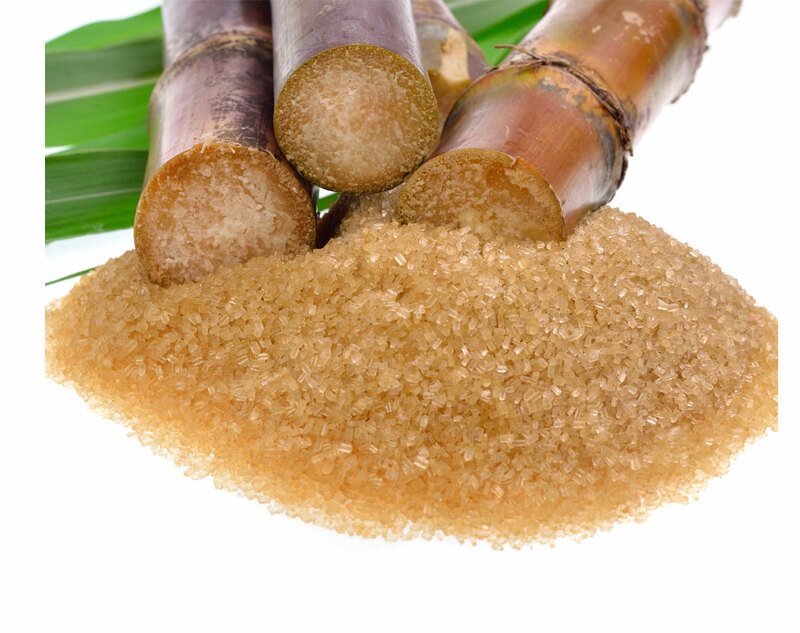 Found in sugar cane, sour milk and certain fruits, these natural acids are used to treat dry skin while promoting firmness by thickening the deeper layers of skin. 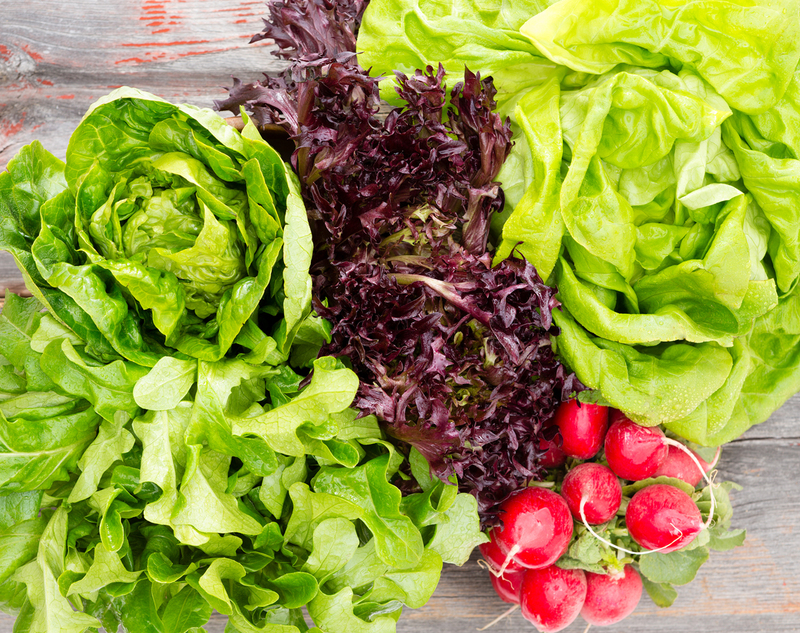 Eating one a day can keep the doctor away, but adding this crisp ingredient to your daily diet can fend off signs of aging. 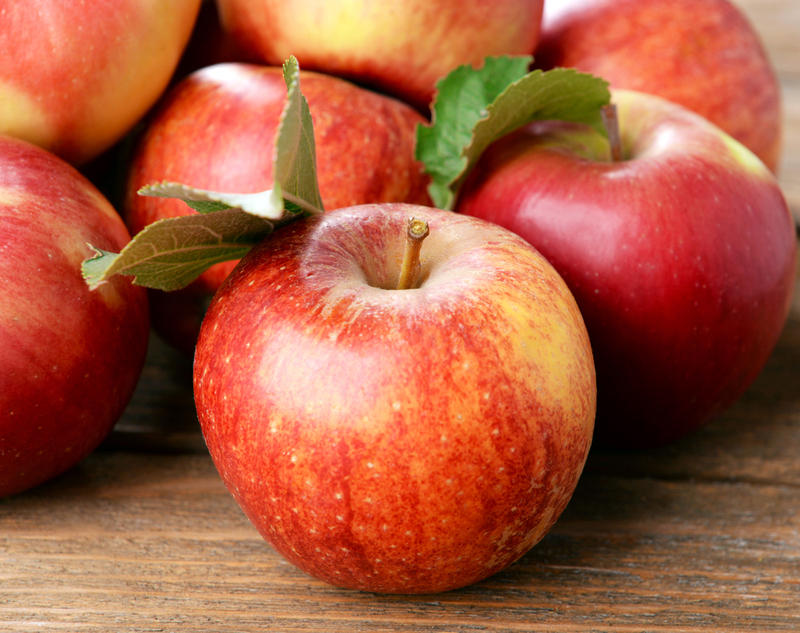 Rich in vitamins A, B, C and K, plus antioxidants, apples are great foods to consume to help promote skin rejuvenation. This multitasking oil features powerful vitamins and nutrients that work to protect and nourish skin, hair and nails while reversing environmental damage and preventing fine lines and wrinkles. 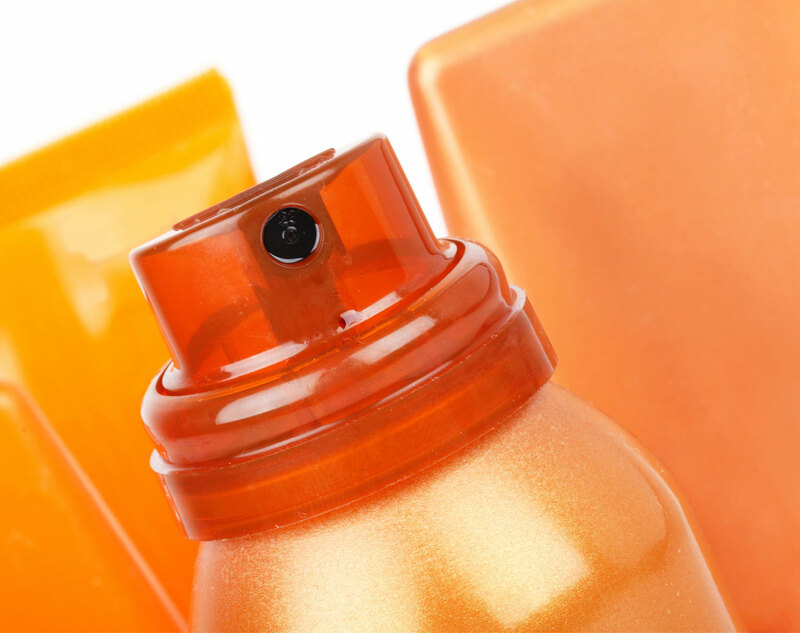 This common ingredient in chemical- based sunscreens helps protect skin from the sun’s full spectrum of UVA rays, which can damage skin and lead to signs of aging. 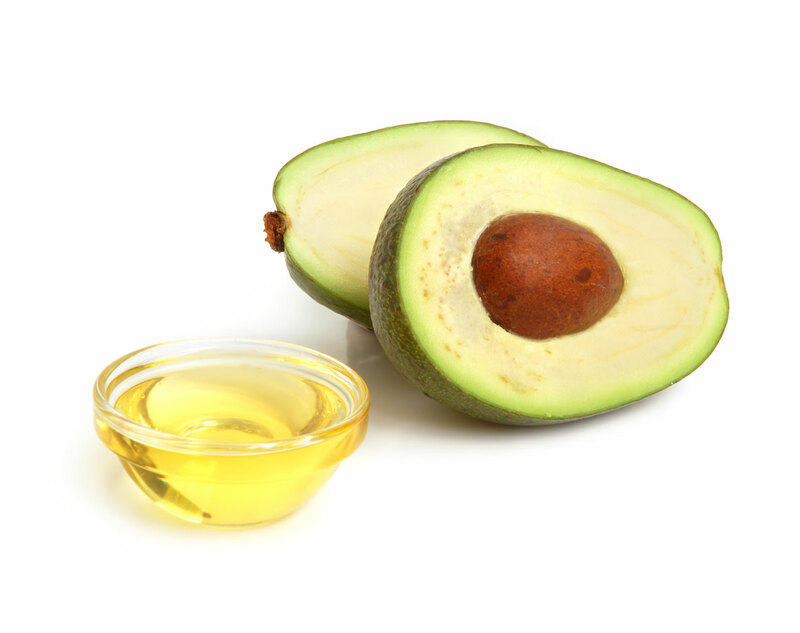 Chock-full of vitamin E, protein and potassium, avocado oil (when applied topically) soothes skin and heals wounds, and may also help lower cholesterol when ingested. 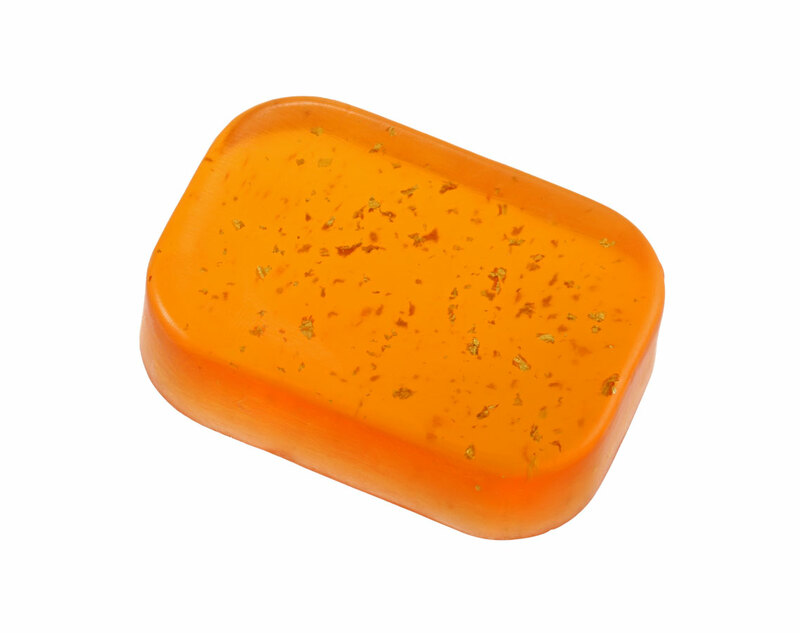 Used mainly to treat hyperpigmentation, acne and inflammation, this natural an￼tibacterial also helps those with sensitive skin and rosacea since it helps soothe irritated skin. 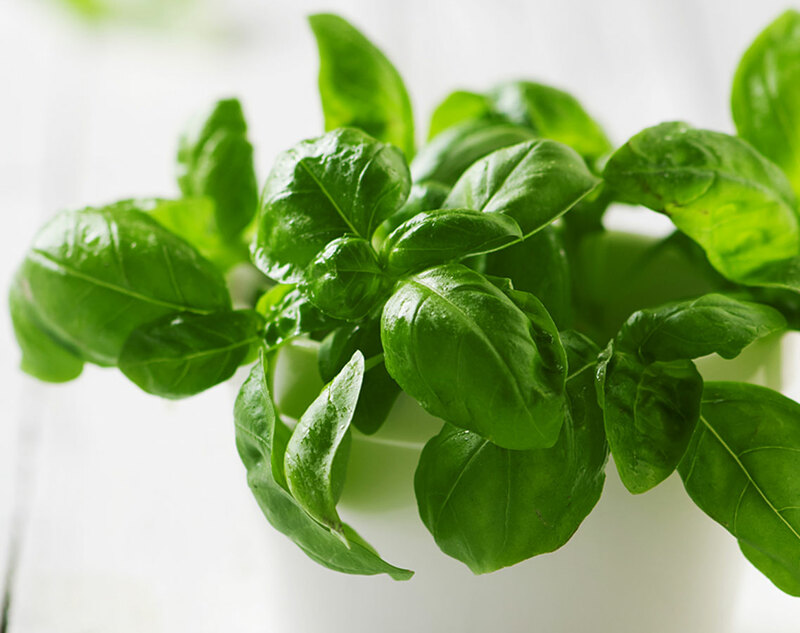 Packed with minerals and vitamins K and A, basil is known for its antioxidant and antibacterial properties. Plus, it helps fight off free radicals, which are known to cause skin aging. 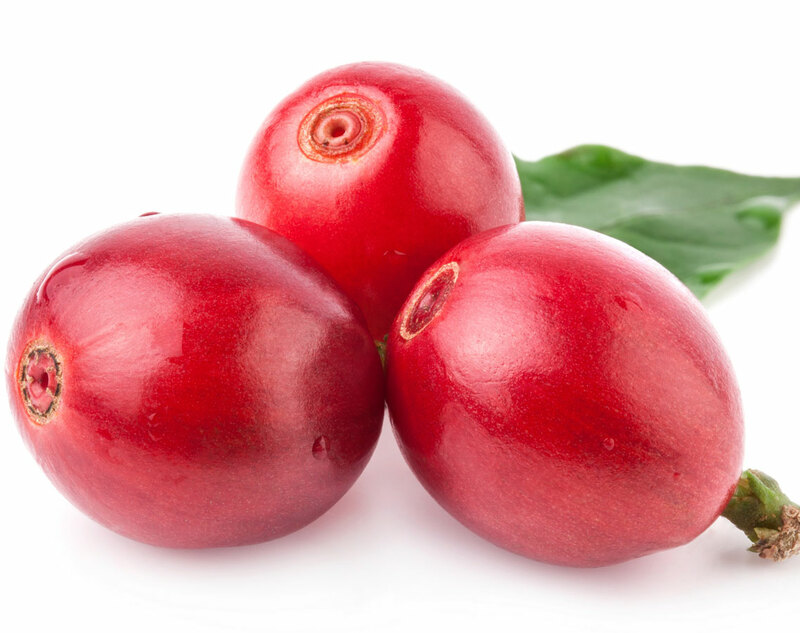 The Anti-Aging Superfruit Packed with antioxidants and vitamins, this tiny fruit contains anti-inflammatory properties and is loaded with vitamin C to help prevent premature signs of aging. 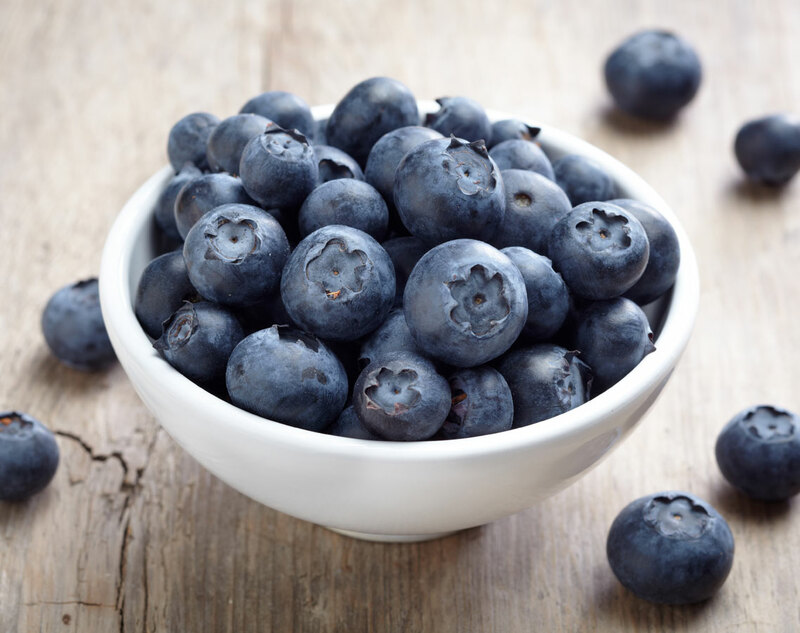 Studies also Studies also show blueberries can help banish belly fat. Organic bone broth is high in minerals and nutrients such as glucosamine, magnesium, sulfur and phosphorous, all of which help heal the body from within. 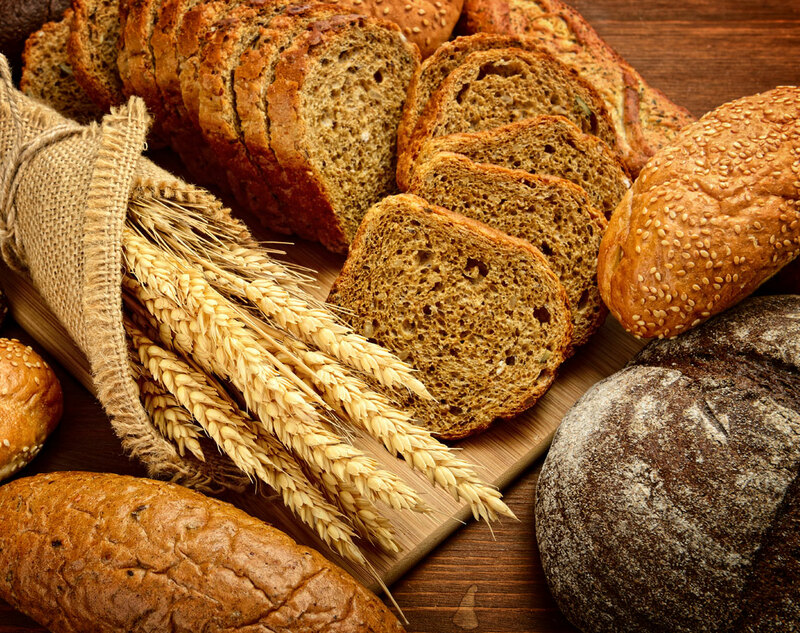 Diets rich in whole wheat are packed with fiber, which takes longer to digest, making you feel fuller for longer and helping to prevent the urge to snack. 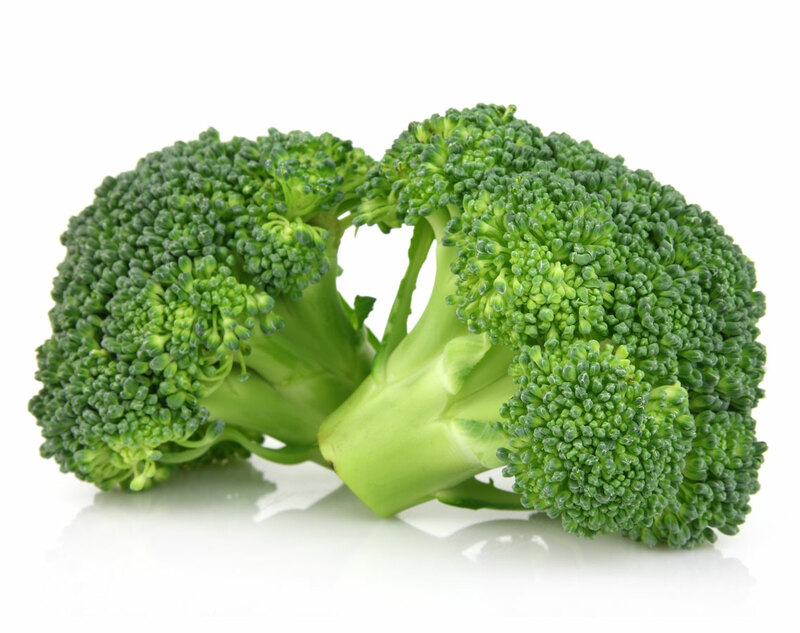 In addition to strengthening bones and detoxifying the body of free radicals, broccoli helps skin glow from the inside out and restores tissue with vitamins B and E.
Found predominantly in the stems of pineapples, this powerful exfoliator is good for sensitive skin because of its anti-inflammatory properties. 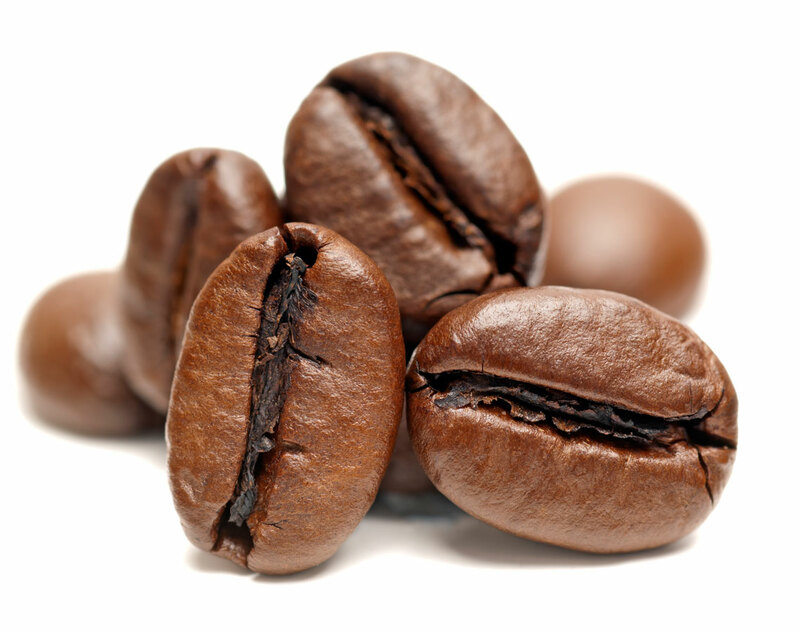 When consumed in moderation, caffeine helps increase metabolism by stimulating the nervous system. It can also improve under-eye flaws when used topically thanks to its microcirculatory properties. When applied directly to skin, this anti-inflammatory has the power to help encourage the growth of new tissue during the wound-healing process—it also helps to reduce pain and swelling. 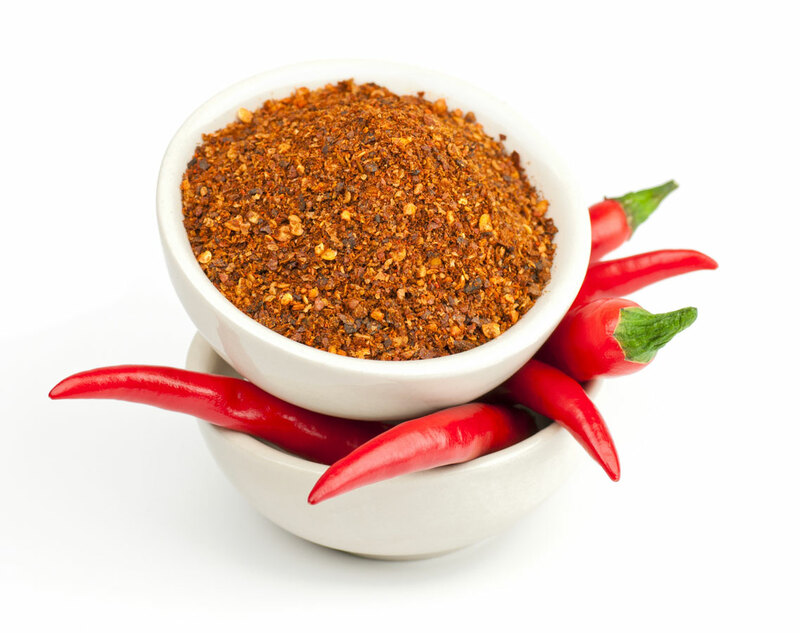 This spice not only adds great flavor to foods, but also helps boost metabolism to burn fat. And, some say it can even assist in improving memory. 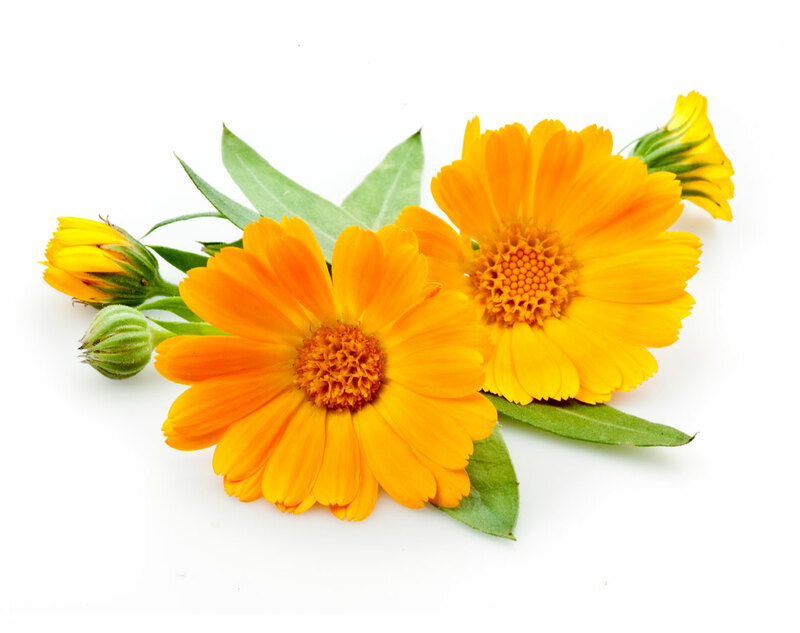 This flower is chock-full of antioxidants and has healing properties, which help soothe irritated skin and fight off breakouts. 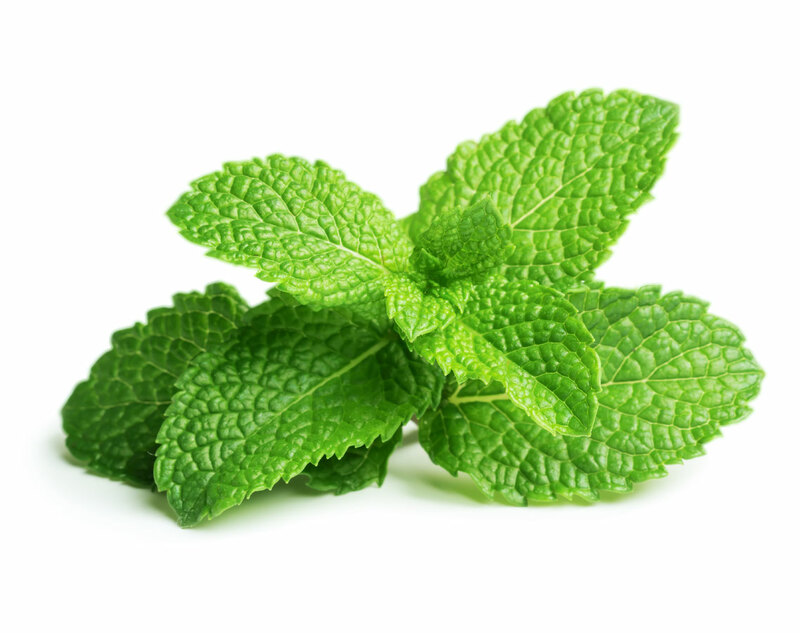 Known for its cleansing capabilities (skin, hair, teeth, etc. 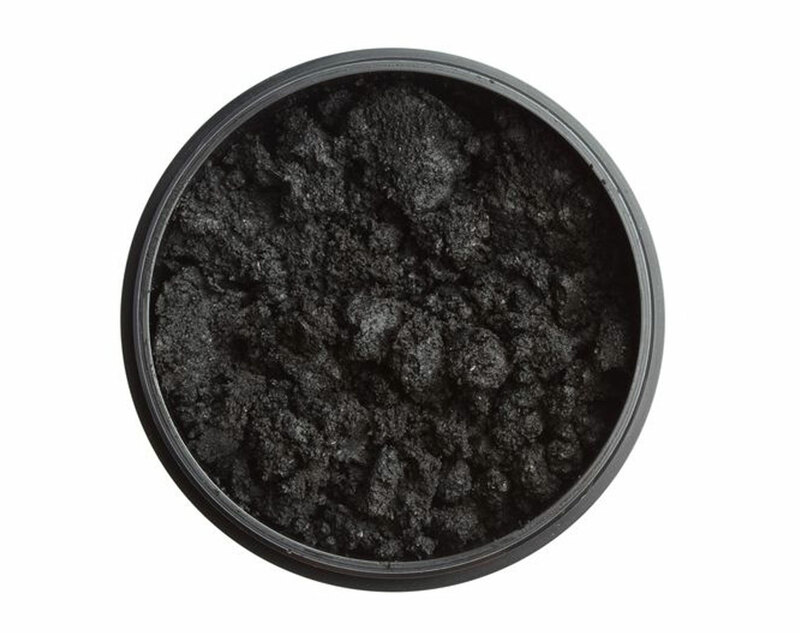 ), beauty experts also tout charcoal’s detoxifying effects. Drinking activated charcoal can help clean out toxins that build up in the stomach and intestines. 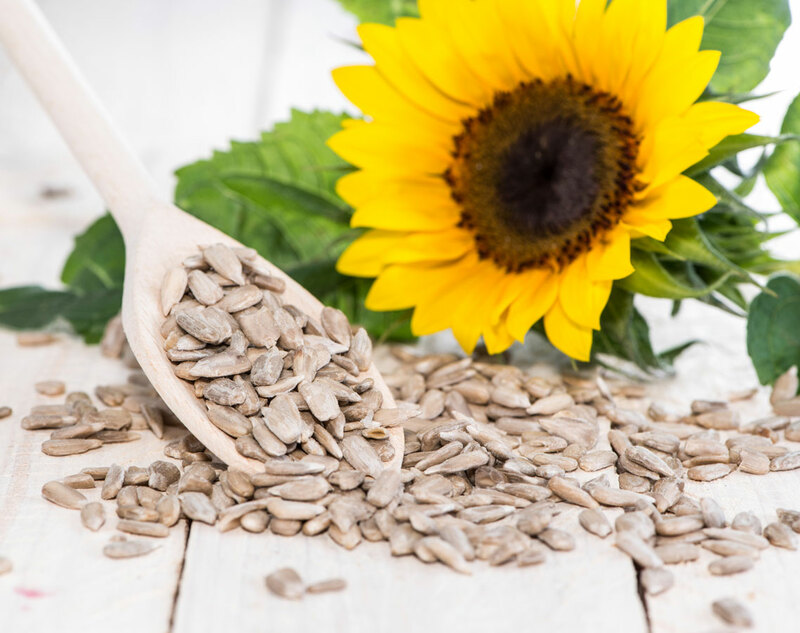 This moisturizing super seed is known for softening and protecting skin along with promoting healthy cell membranes due to its high concentration of omega-3 fatty acids. 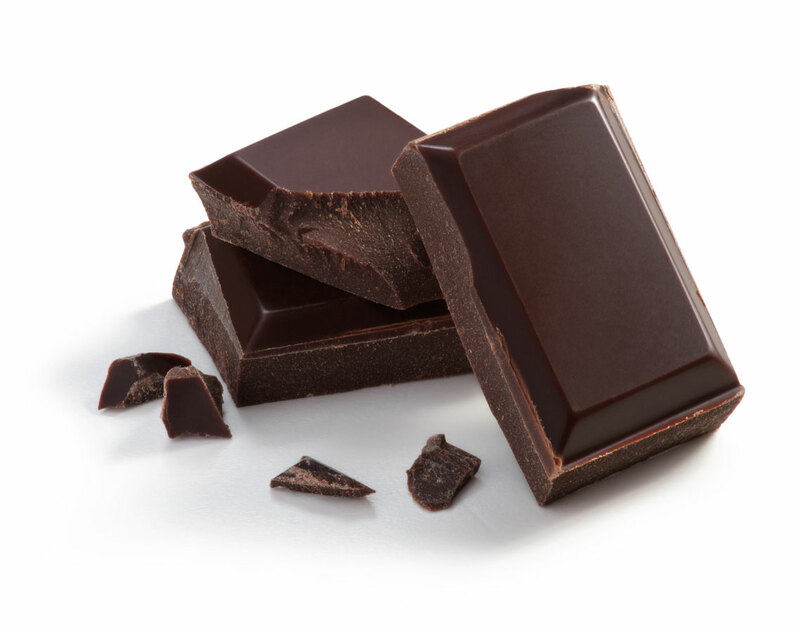 Packed with antioxidants, flavonoids and flavonols, dark chocolate fights free radicals when eaten and is thought to improve blood flow and circulation. 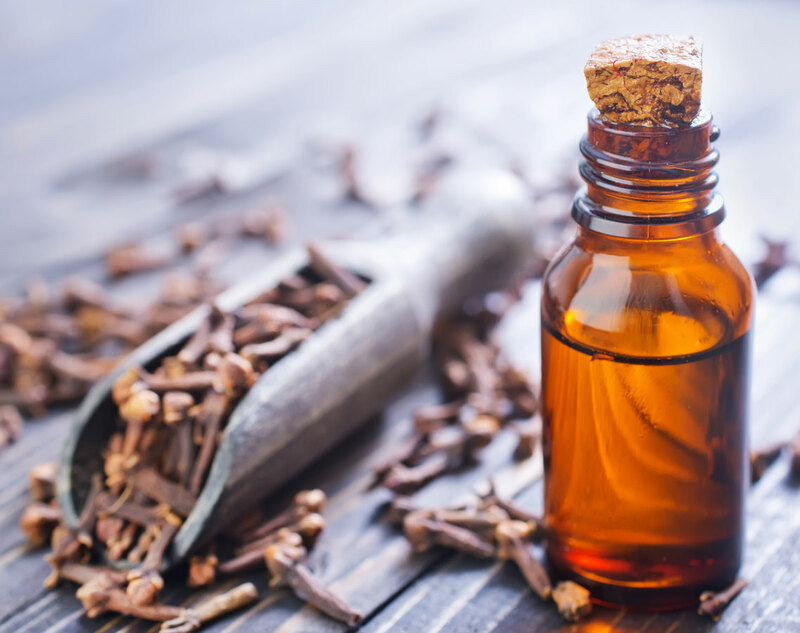 ￼￼Derived from the clove plant, this essential oil is often used in aromatherapy and can also help ward off toothaches and bad breath. Safe to use on the face and body, this anti-aging oil is rich in vitamin E, contains skin-repairing proteins and has the power to soften tough, cracked skin. 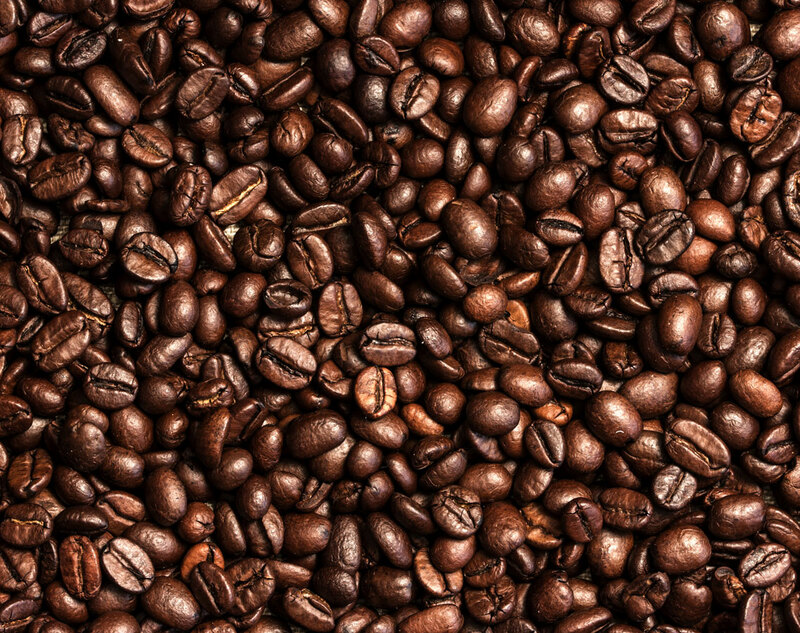 In addition to providing an energy boost, coffee, when consumed in moderation, has shown to help protect against type 2 diabetes, Parkinson’s disease and liver cancer. 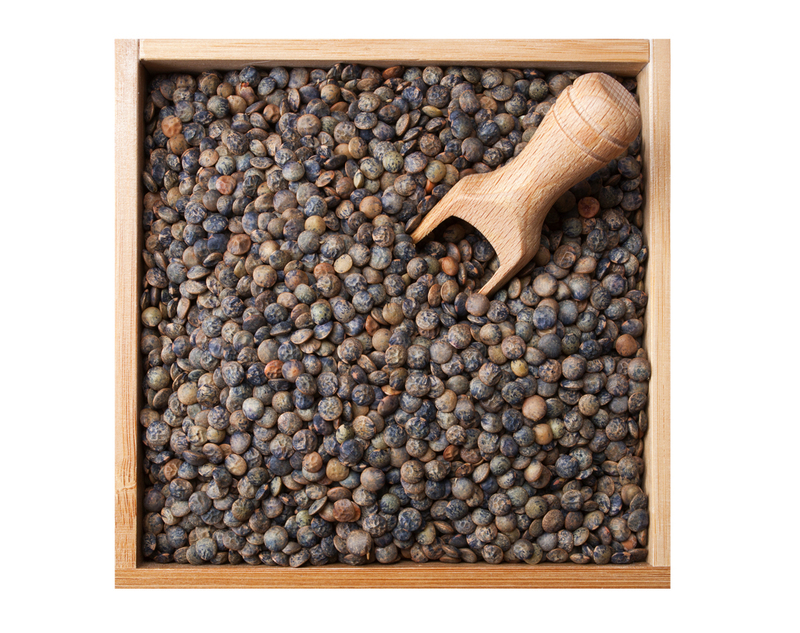 Rich in antioxidants and polyphenols, this ingredient can help protect skin against the free radicals that often cause premature aging. 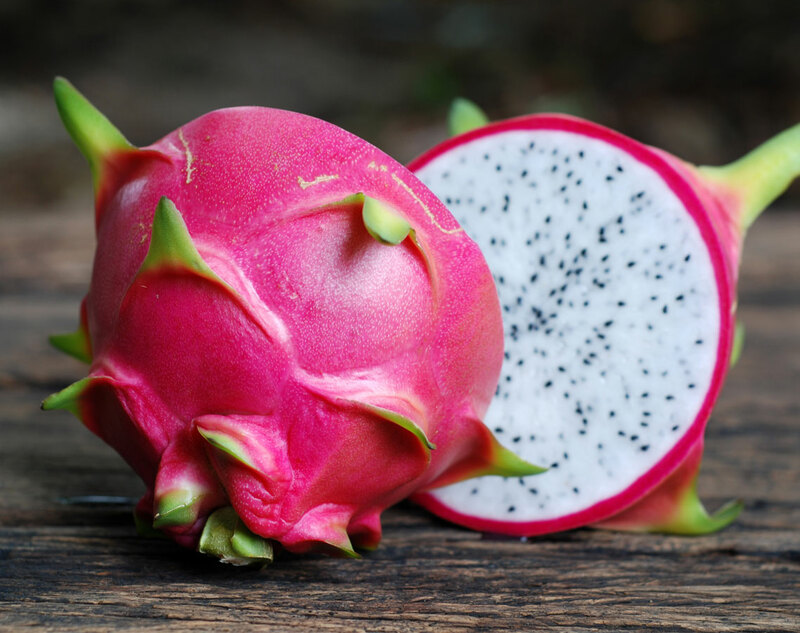 Surprisingly, this unique-looking fruit contains more antioxidants than acai berries, making it an ideal food to eat to help fight premature aging. 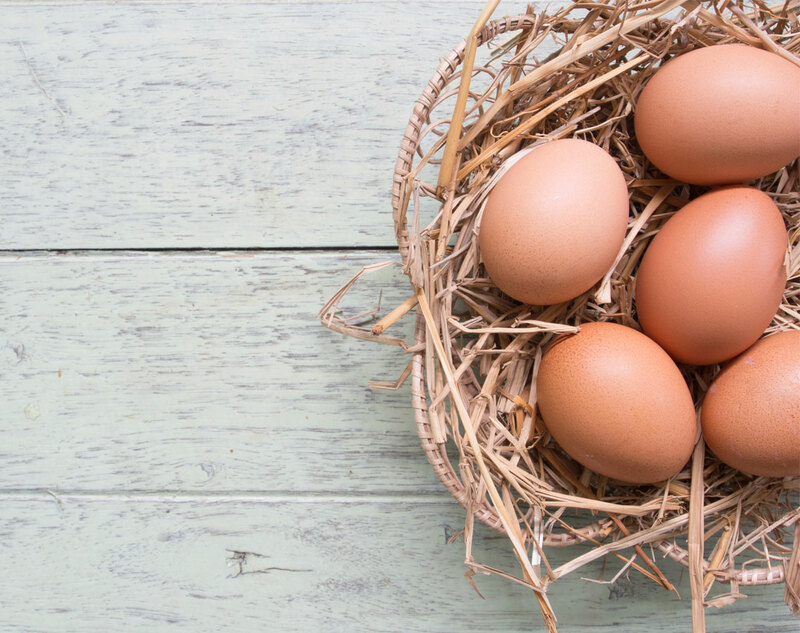 A great source of protein, eggs are known to raise high density lipoprotein (HDL), which is considered “good” cholesterol. 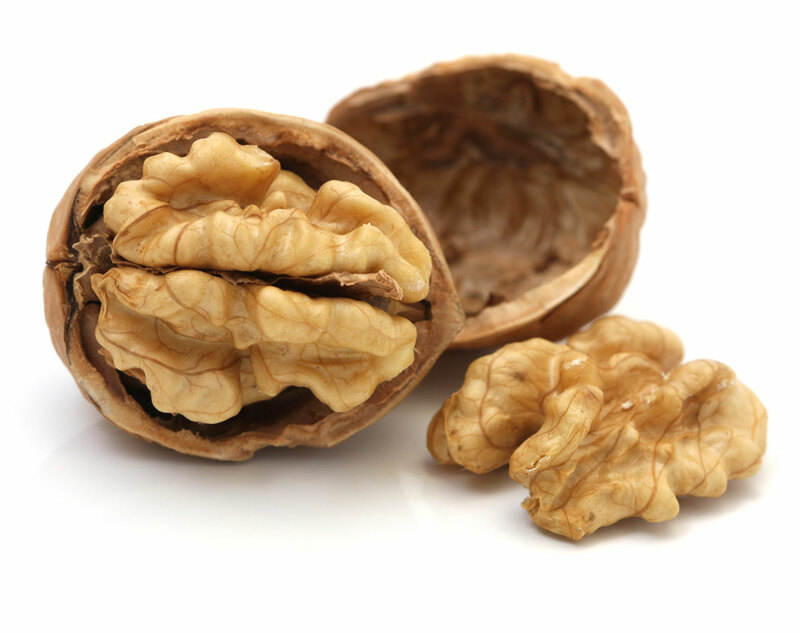 They also have omega-3s, which help lower triglycerides linked to heart disease. 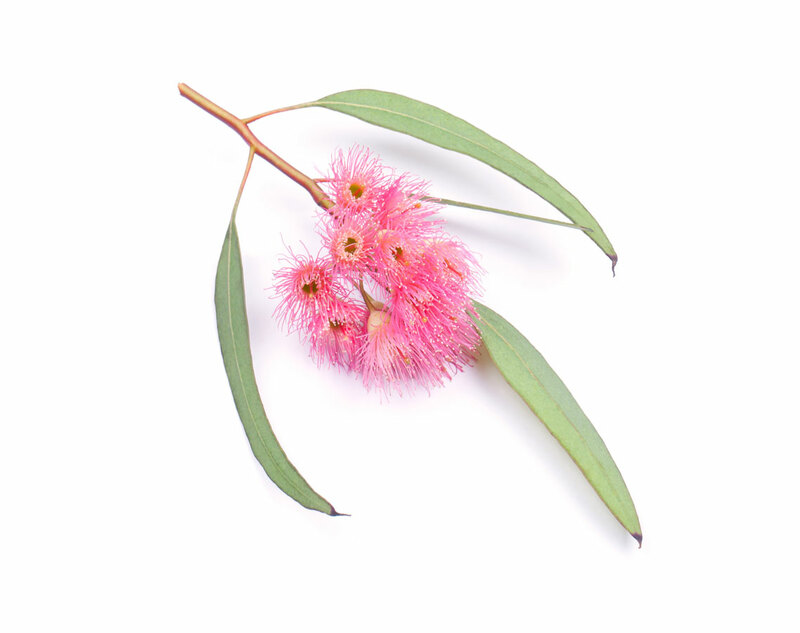 Although the dried leaves and oils from eucalyptus trees are mainly used for medicinal purposes, they also help treat acne, calm inflammation and heal wounds. 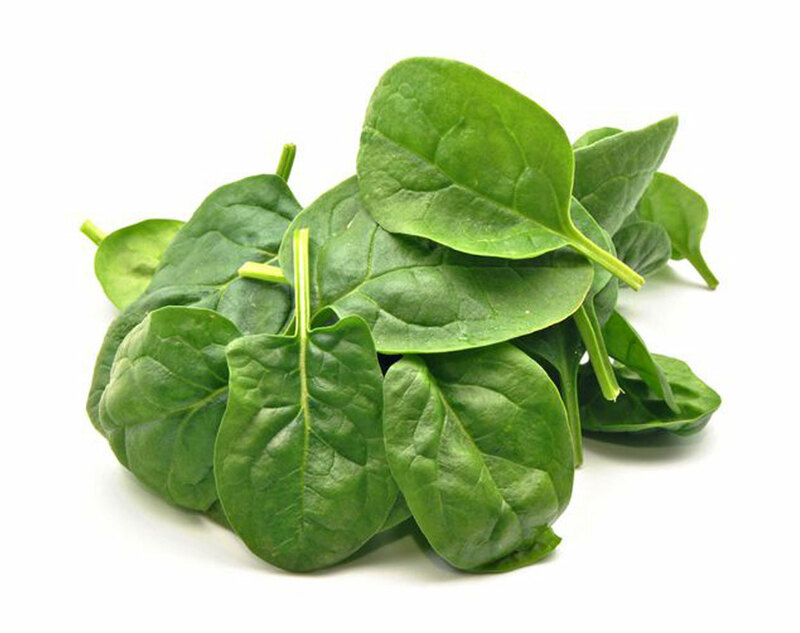 A type of B vitamin found in leafy green veggies, red meat, wheat and soybeans, folic acid is a great defender against thinning hair. 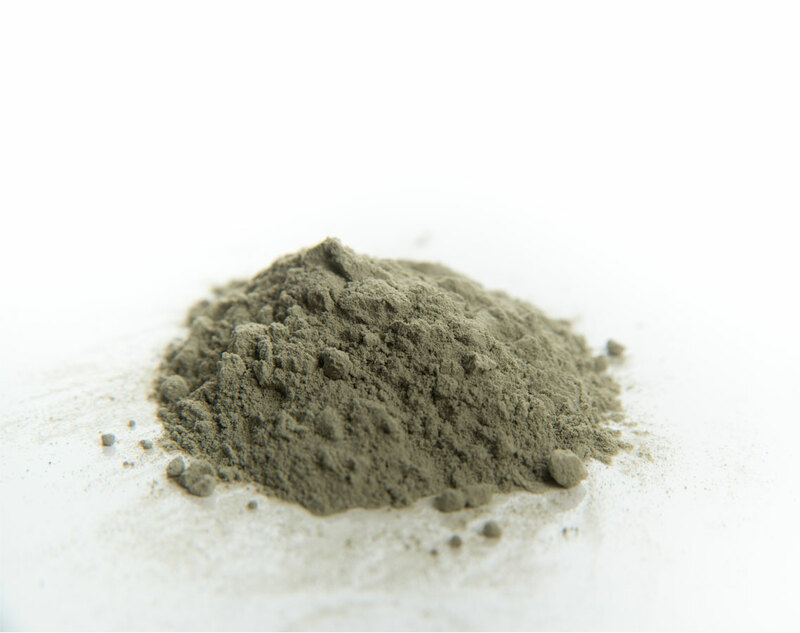 Thanks to its high concentrations of minerals, French sea clay naturally revitalizes cells and stimulates circulation while removing toxins and impurities for stronger skin. This moisturizing humectant works to treat itchy, dry and/or rough skin. Being that it’s skin-identical, it maintains and protects the skin’s outer barrier to prevent dryness or scaling. Known to be one of the most effective AHAs, glycolic acid improves the appearance of fine lines and wrinkles by stimulating elastin and collagen in the dermis and treats conditions like acne, dry skin, sun damage, psoriasis and more. 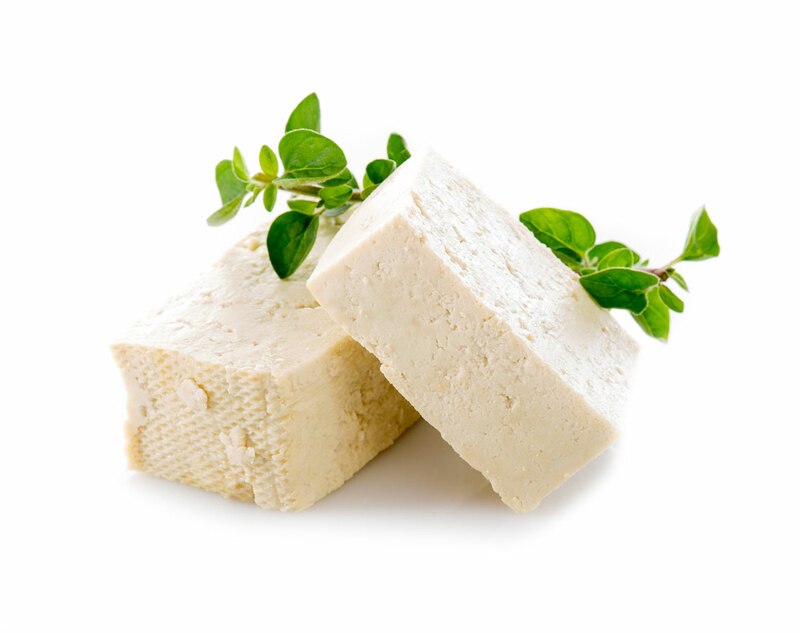 Used for centuries, goat’s milk is an excellent source of vitamins and minerals and has nourishing and moisturizing properties. 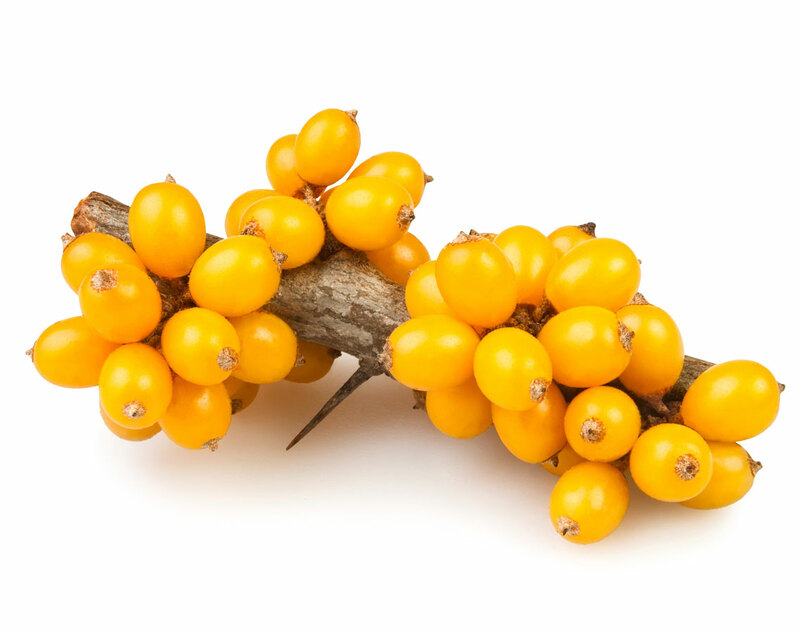 Believed to have helped you live longer, these berries have been eaten in Asia for many generations and they treat conditions like diabetes and high blood pressure. 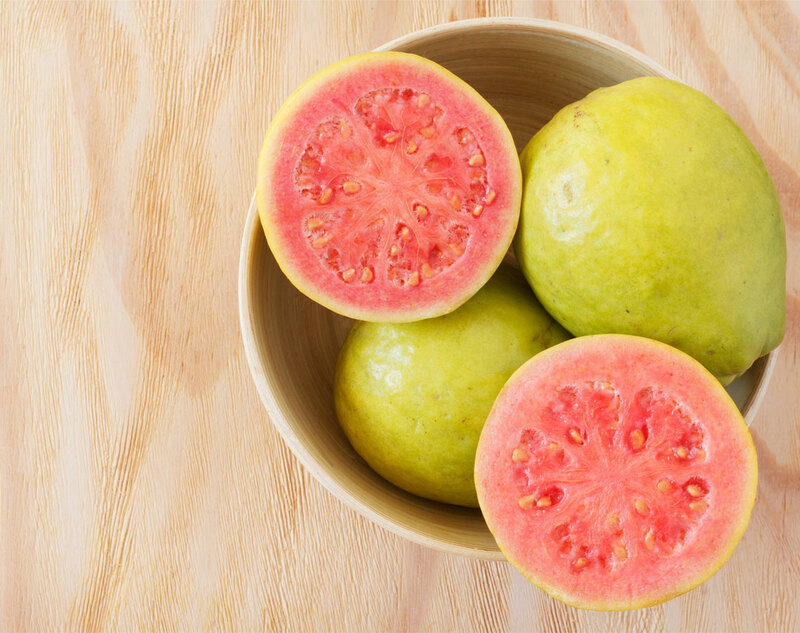 This nutritional fruit boosts a bevy of wellness benefits and is said to help you sleep better. 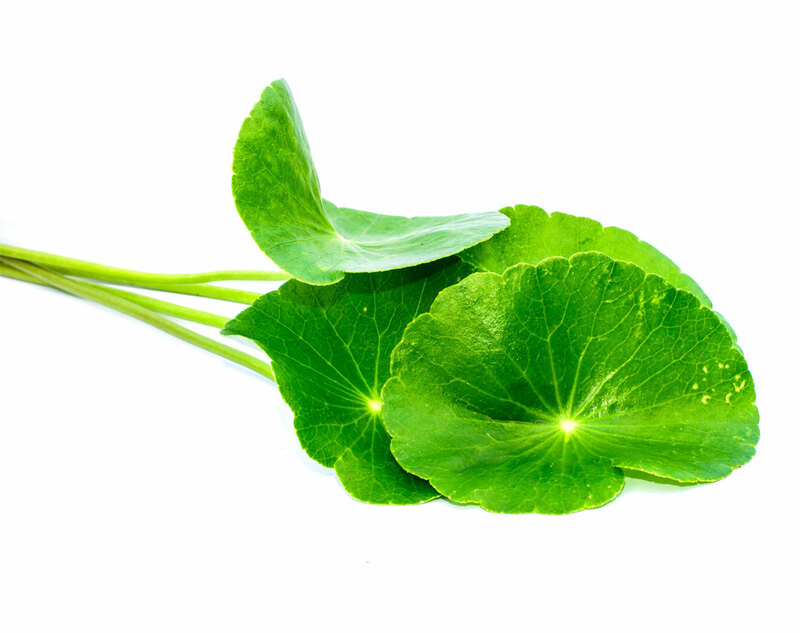 Commonly used in traditional Chinese and Ayurvedic medicine, when used on the skin, gotu kola promotes wound healing, reduces stretch marks and minimizes the appearance of scarring. 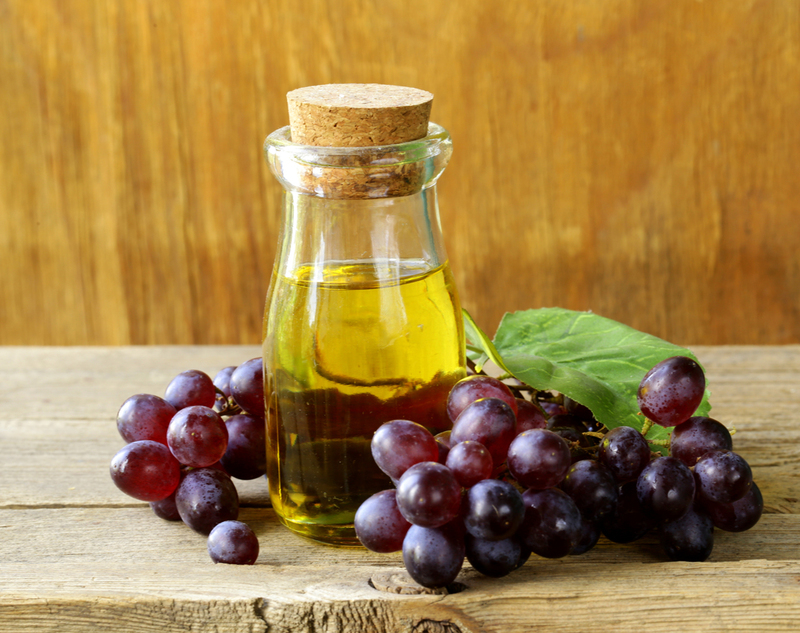 Despite its name, grapeseed oil isn’t oily at all. It’s a light film that promotes hair growth and strengthening, stands in as a natural substitute for shaving cream, and helps control moisture levels in your skin. 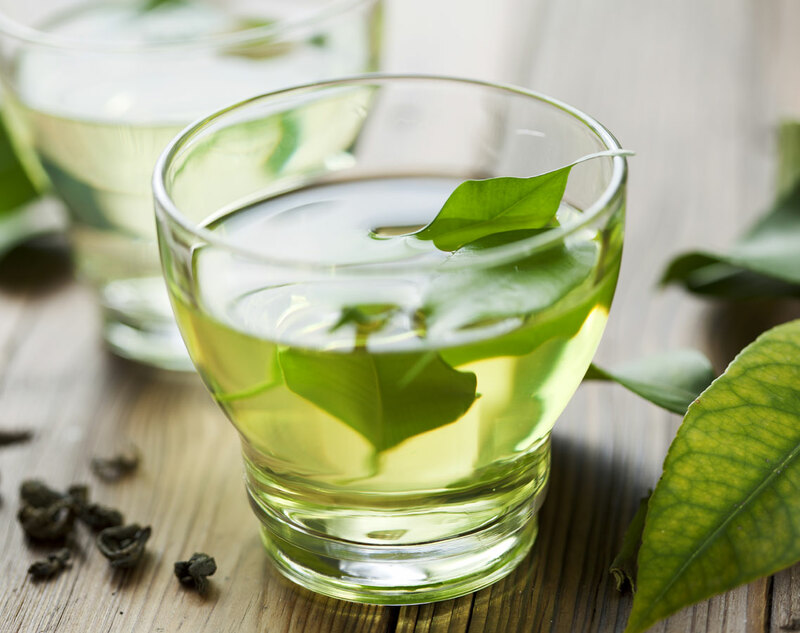 When applied both topically and taken internally, the high level of antioxidants in green tea defend against the oxidative damage that causes wrinkles, loose skin and discoloration. 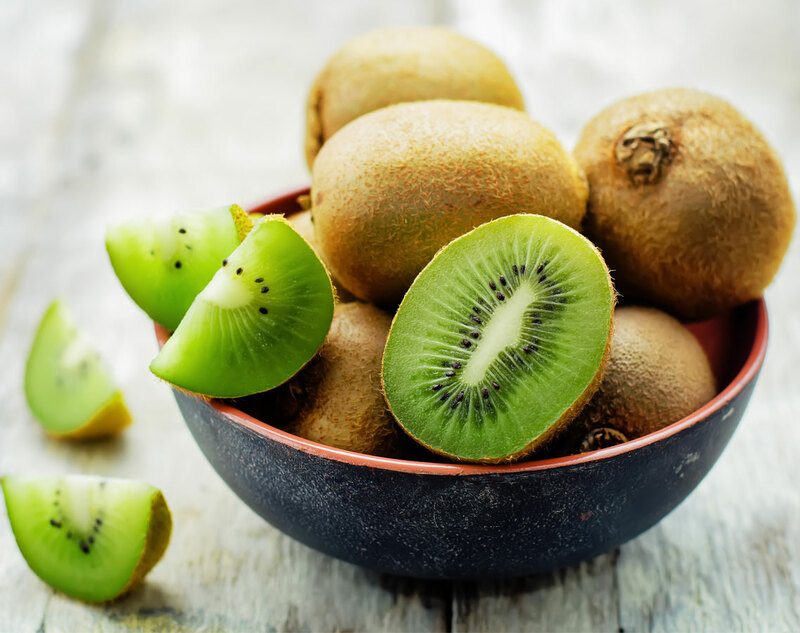 With higher levels of vitamin C than your average orange, this tropical fruit, native to Brazil, helps maintain the health of the eyes, skin, teeth and bones. 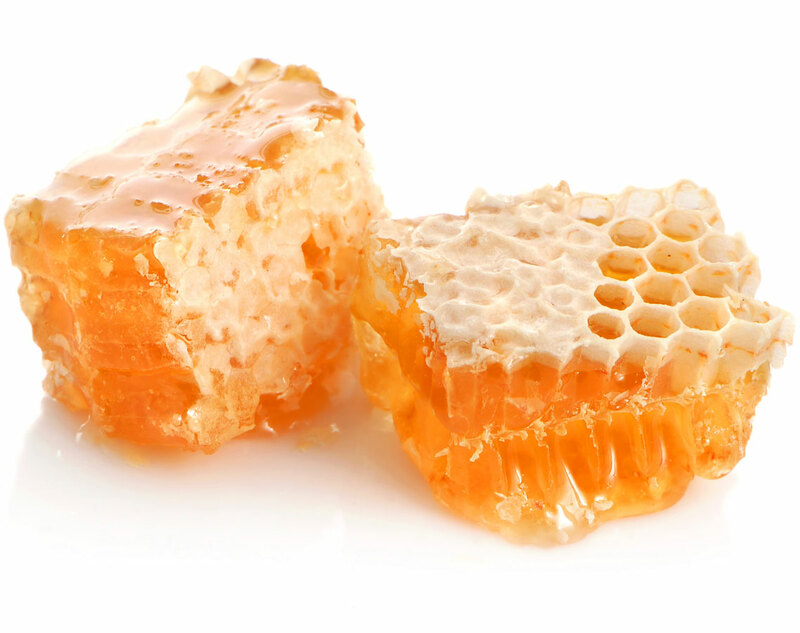 Widely regarded for its antibacterial and anti-inflammatory properties, honey has been used throughout history and continues to remain a necessity due to its immunity- boosting powers. 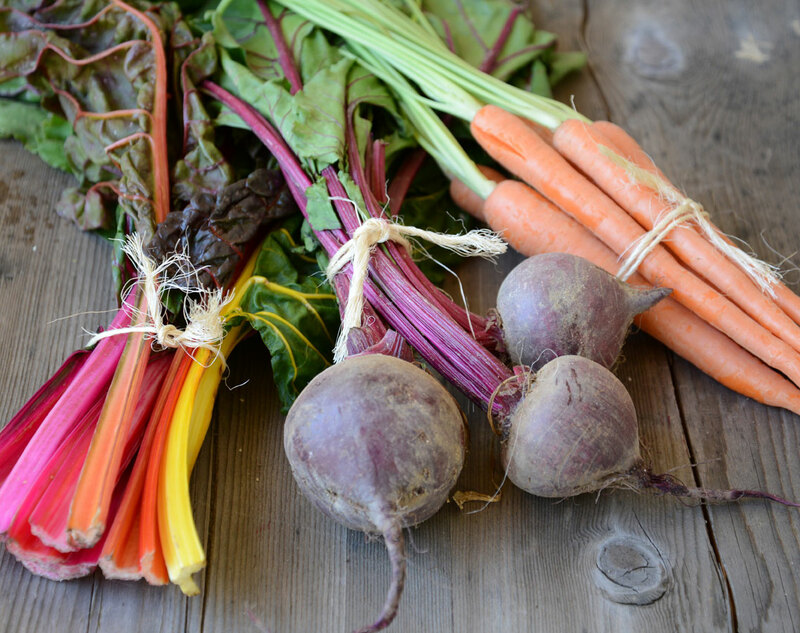 This multitasker, commonly found in root vegetables, can be administered by your doctor as a filler and can be used as a moisturizer. 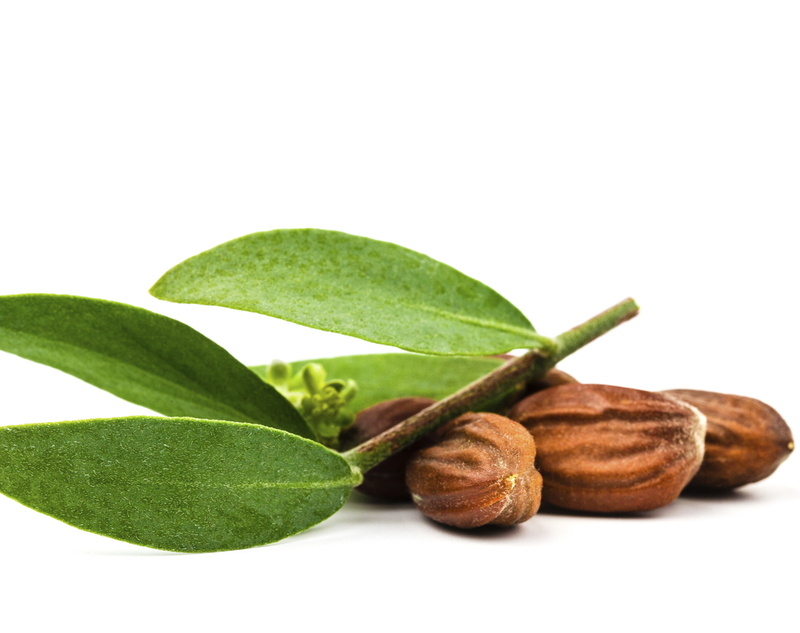 The moisture-rich oil produced from the seeds of this shrub makes it an ideal ingredient for cleansers, balms and moisturizers. 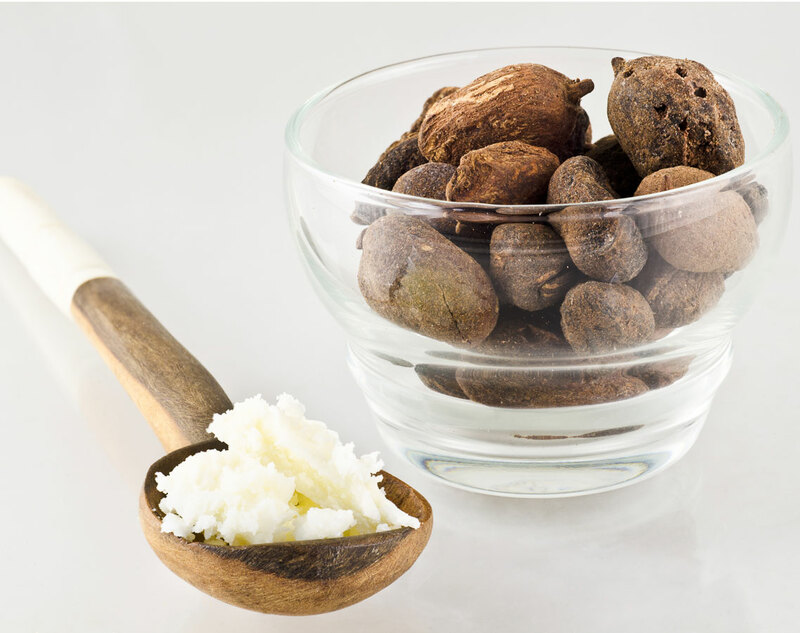 It can also be used on its own to hydrate skin and hair because it mimics the natural oils of the body. 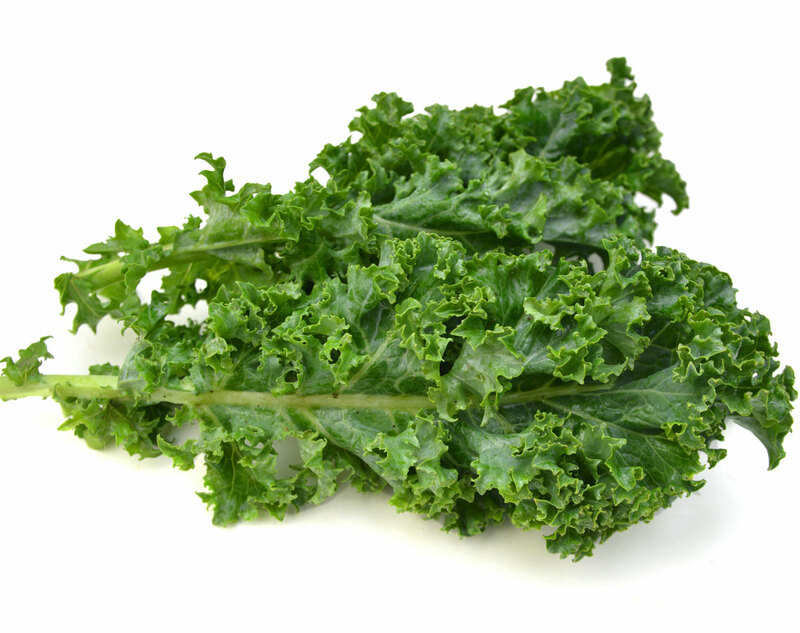 A superfood that is considered one of the world’s healthiest foods, kale is extremely nutrient-rich and beneficial in maintaining healthy skin and hair. Derived from nature, this emollient clay is used in products like masks, peels and cleansers for its soothing and absorbent properties. It’s ideal for cleaning out dirt and impurities from the pores. 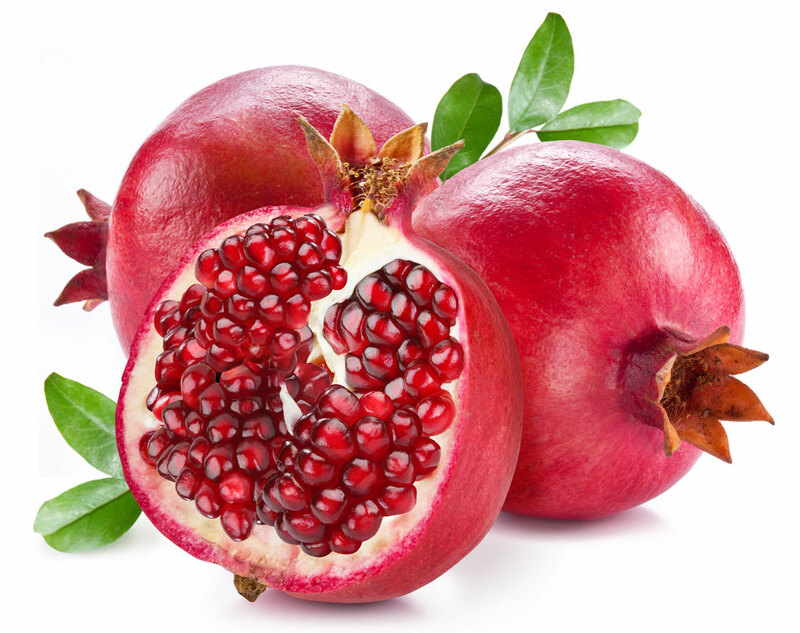 This age-fighting fruit protects against DNA damage and helps rid the body of harmful toxins. 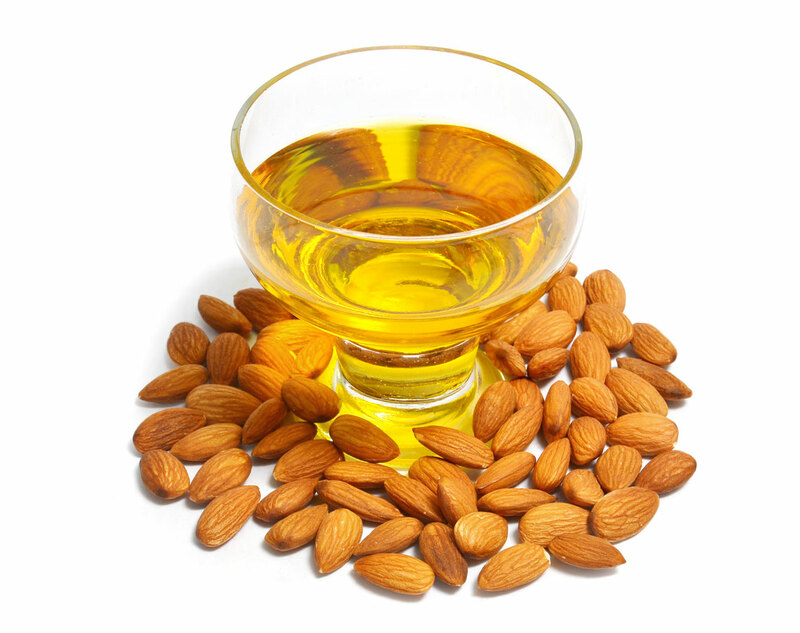 It’s also a great source of vitamin E, which works to safeguard skin from degeneration. 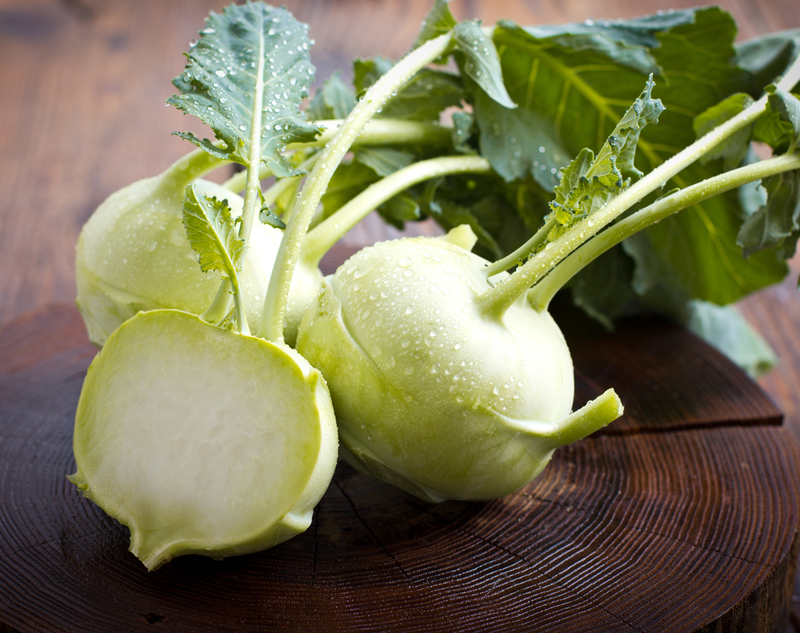 A relative of the turnip, kohlrabi is chock-full of vitamin C, which helps to maintain healthy teeth and gum tissue. 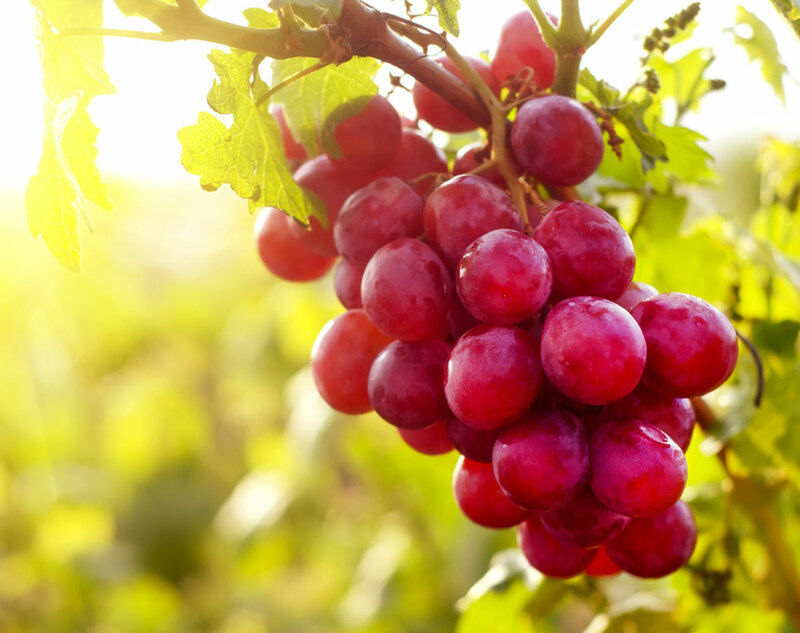 It also contains phytochemicals that protect against prostate and colon cancers. 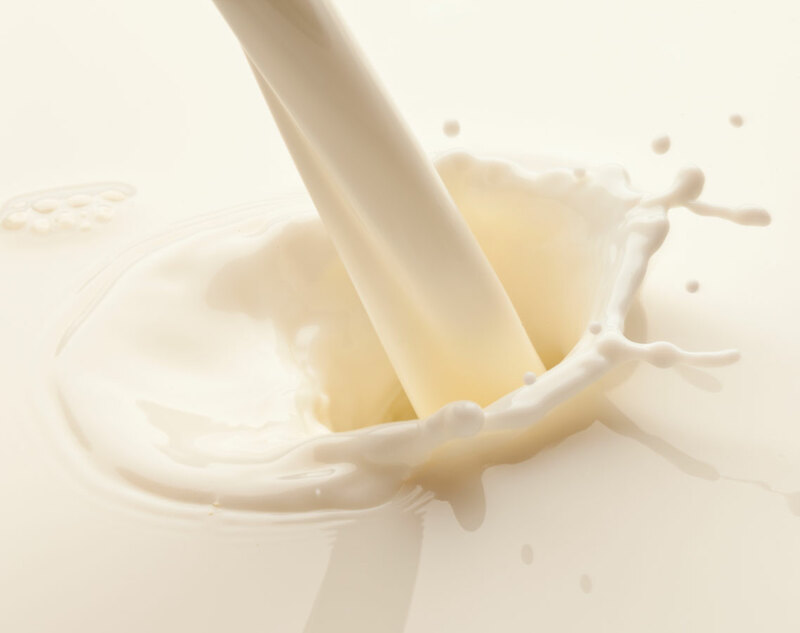 Derived from milk, this alphahydroxy acid (AHA) can improve skin texture, in addition to reducing acne breakouts and the appearance of fine lines and wrinkles. 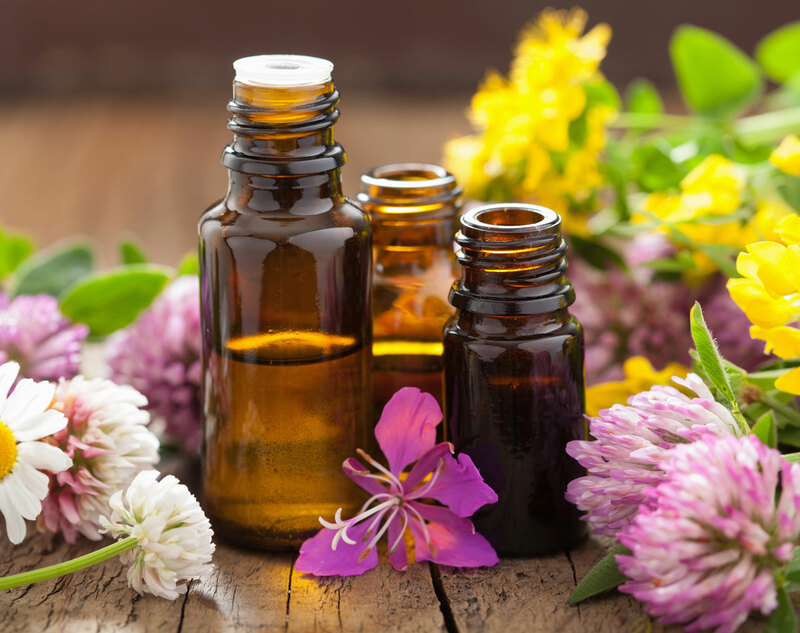 The flower and oils from this herb boast aromatherapy benefits when inhaled and it is believed to help you sleep better when used before bed. 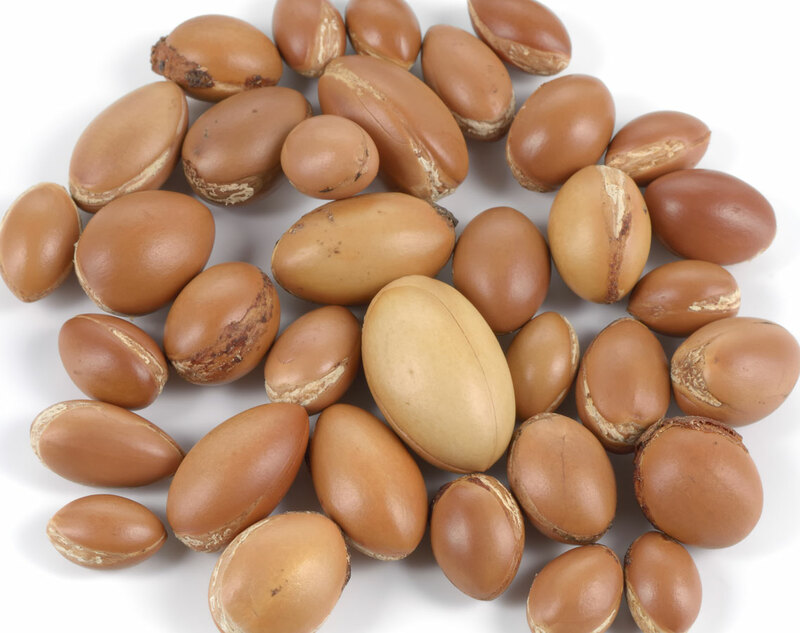 Legumes are low in calories and an excellent source of protein, fiber and complex carbohydrates. Bonus: Eating legumes several times a week can promote bowel regularity and keep blood sugar levels in check. 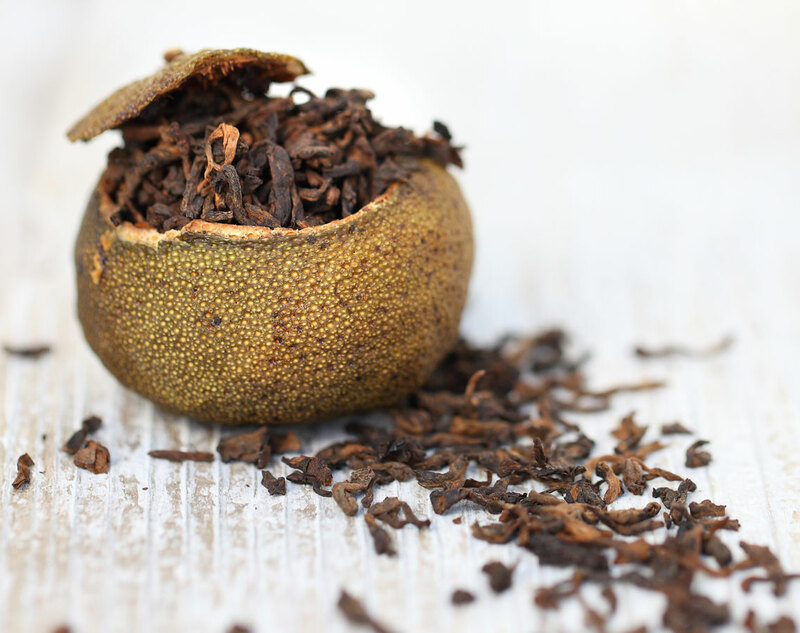 The juice from this sour fruit has some sweet side effects: It’s full of powerful antioxidants that can aid in healing photoaged skin and also improve overall skin tone and texture. 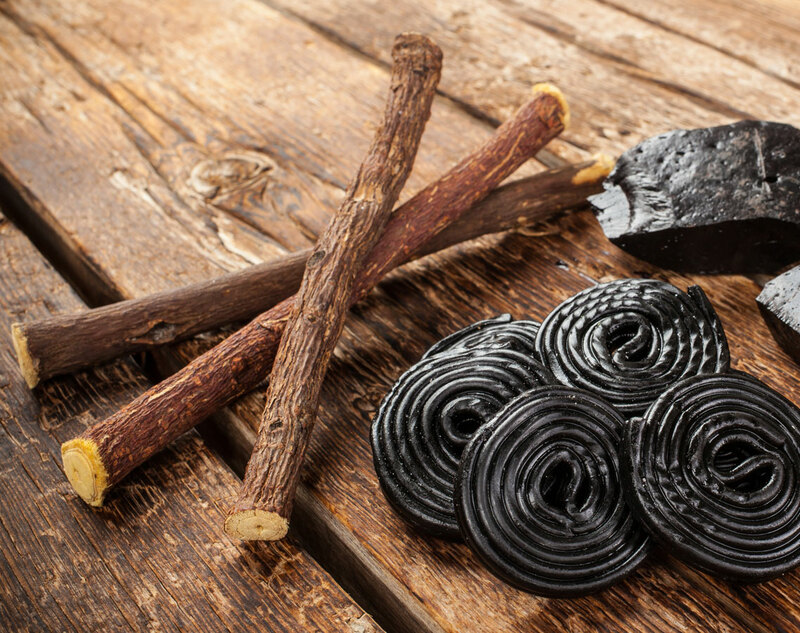 The roots of licorice have hundreds of healing substances to treat baldness, body odor, tooth problems and skin conditions. 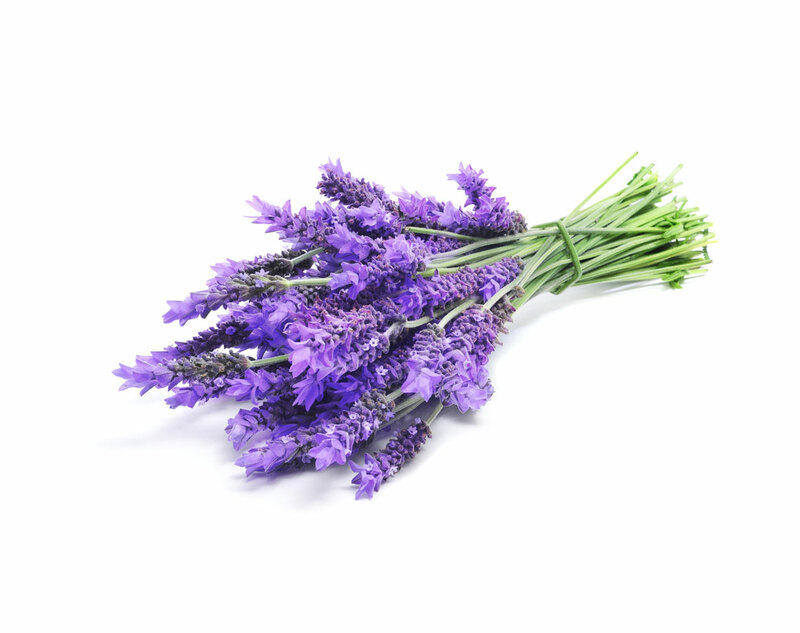 It’s also an ideal ingredient for those with allergies and/or bronchitis since it’s highly soothing. 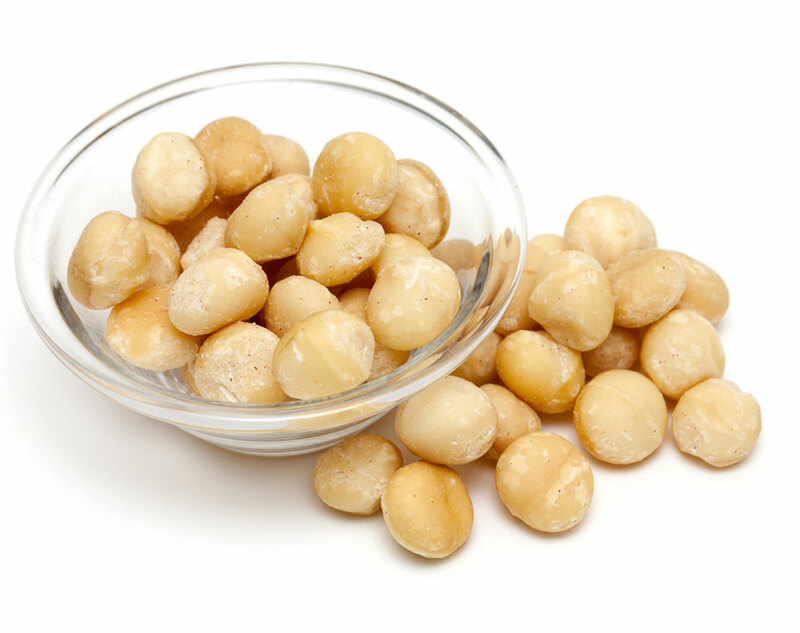 Macadamia nuts can promote weight loss, help burn off fat and curb appetite when consumed in moderation. 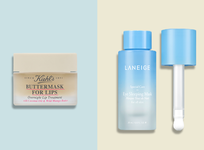 Taking its name from micelles, tiny cleansing molecules that float in water, these microscopic agents eliminate dirt, oil and makeup on your skin for a clean, healthy look. 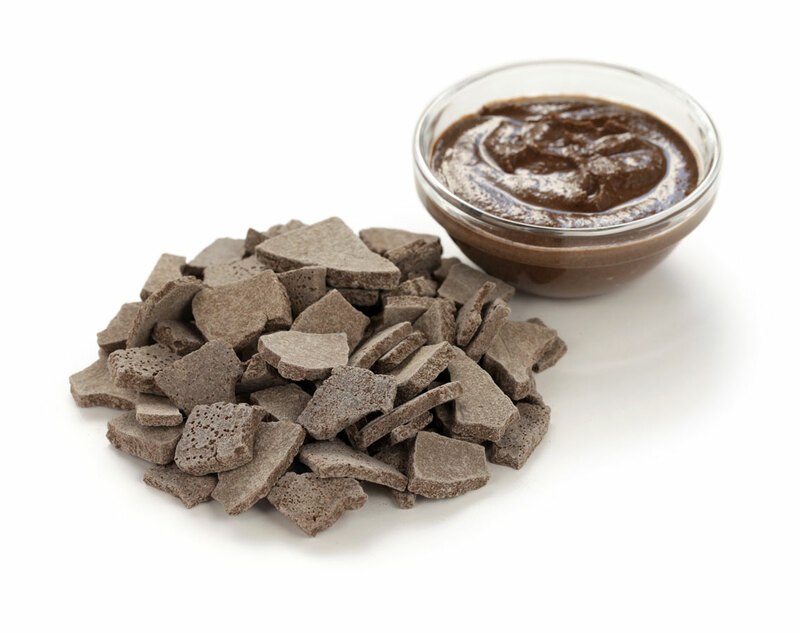 Rich in iron, magnesium and other elements, this natural, mineral-rich clay comes from the Atlas Mountains of Morocco and is ideal for absorbing impurities in the skin and hair, removing dead cells, tightening the pores and softening the skin. 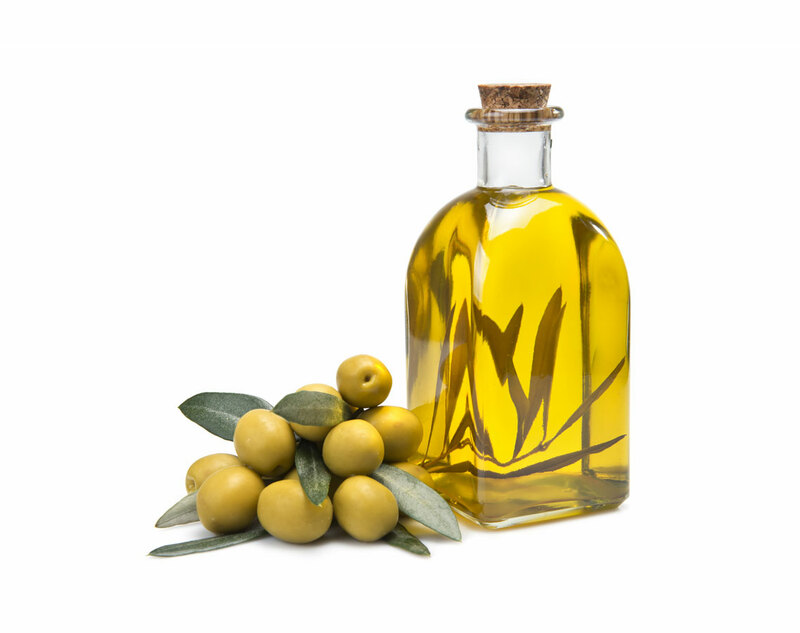 of omega-3, -6, -7 and -9 fatty acids, along with an alphabet of vitamins, all of which promote healthy skin and hair. 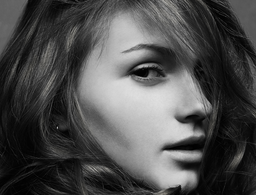 Some studies show obliphica aids in hair elasticity and builds up healthy cells on your scalp. Not only in this nutritional powerhouse a digestible source of fiber, folate and vitamins, but it can also give your hair added bounce when applied topically. 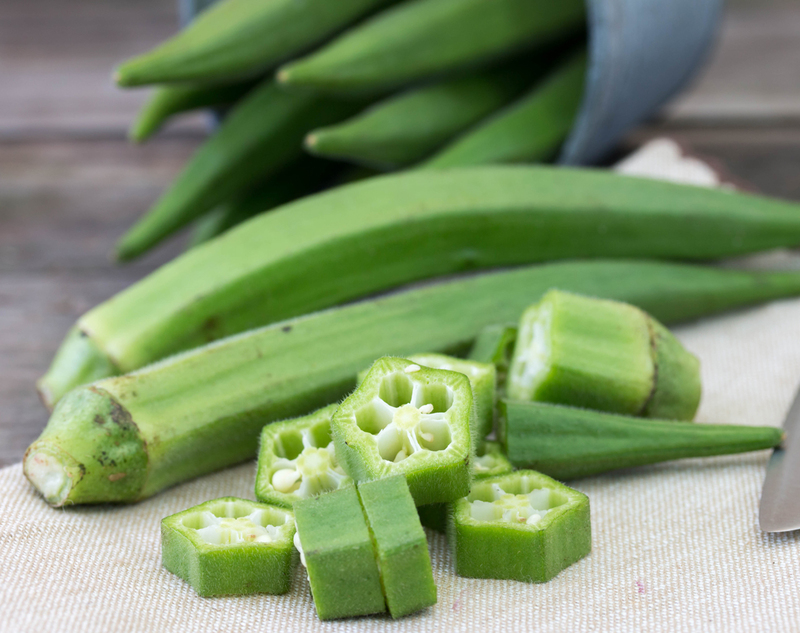 Boil the okra in water and apply directly to hair for voluminous results. Packed with antioxidants and vitamins A and E, this hydrating oil restores moisture to the face, body, lips, hands and feet. 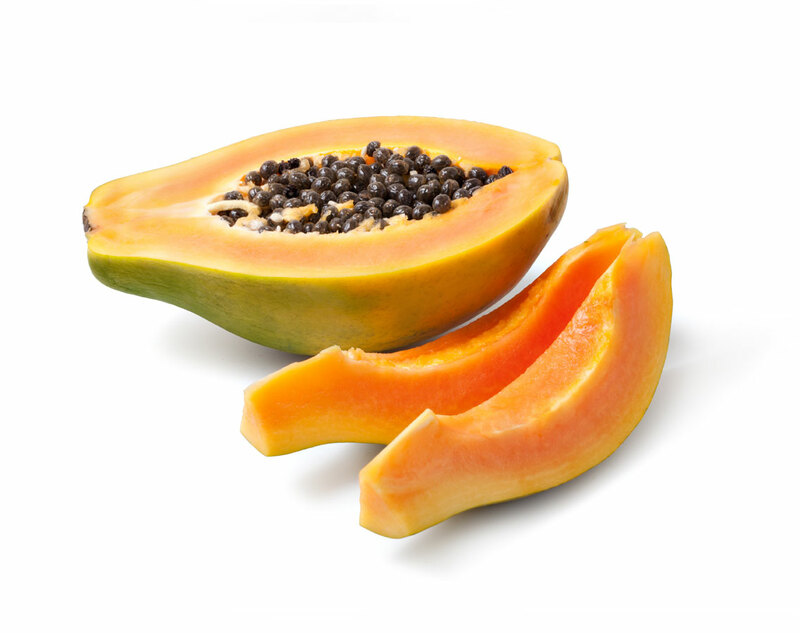 Known as a natural exfoliator, hydrating papaya works to remove dead skin cells, blemishes and dark spots to even out skin tone. 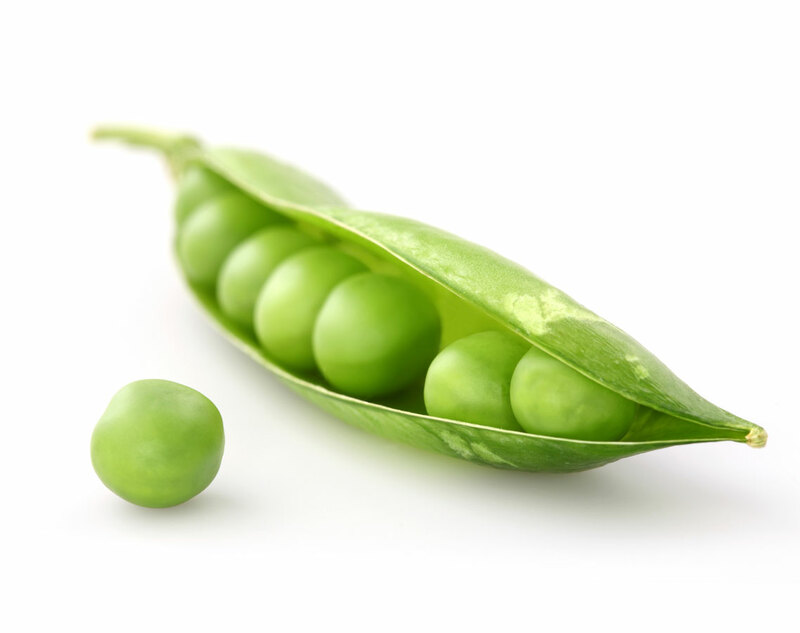 Although small in size, peas are packed with antioxidants that aid in weight management and blood sugar regulation. 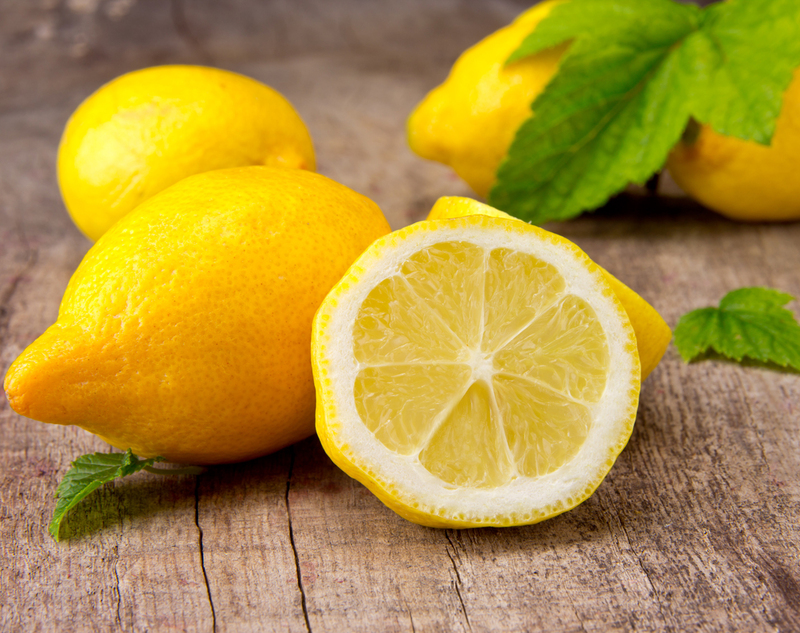 Packed with vitamins A and C, this ingredient balances the pH levels of skin by decreasing the production of excess oils which often leads to reduced acne. 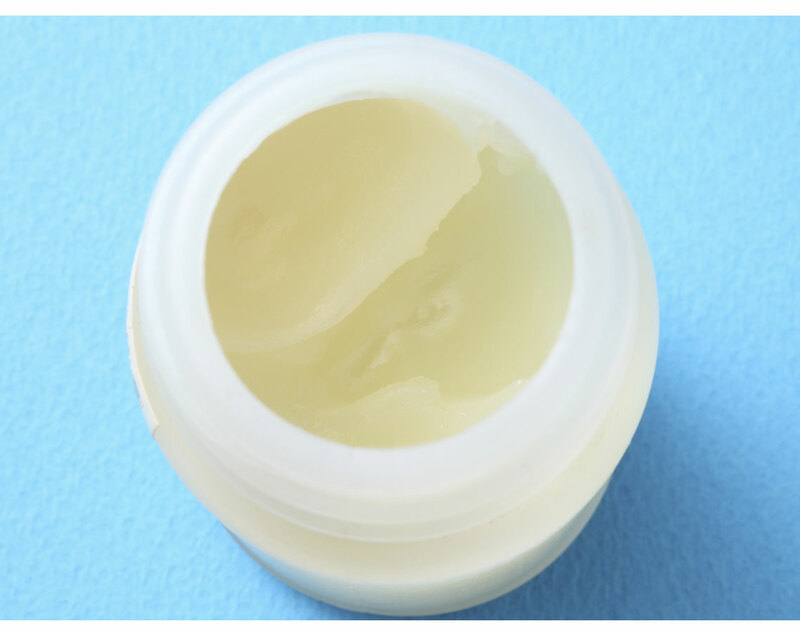 Commonly referred to as petroleum jelly, this ingredient is used in an array of different beauty products because of the powerful moisturizing effects it has on skin. 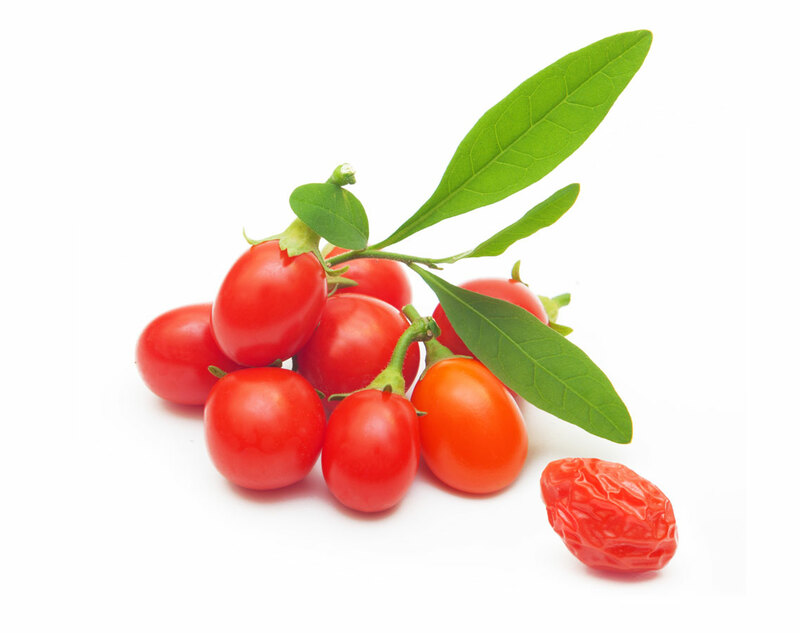 Commonly found in anti-aging and sun-care products, this antioxidant battles hyperpigmentation, dry skin and age spots. 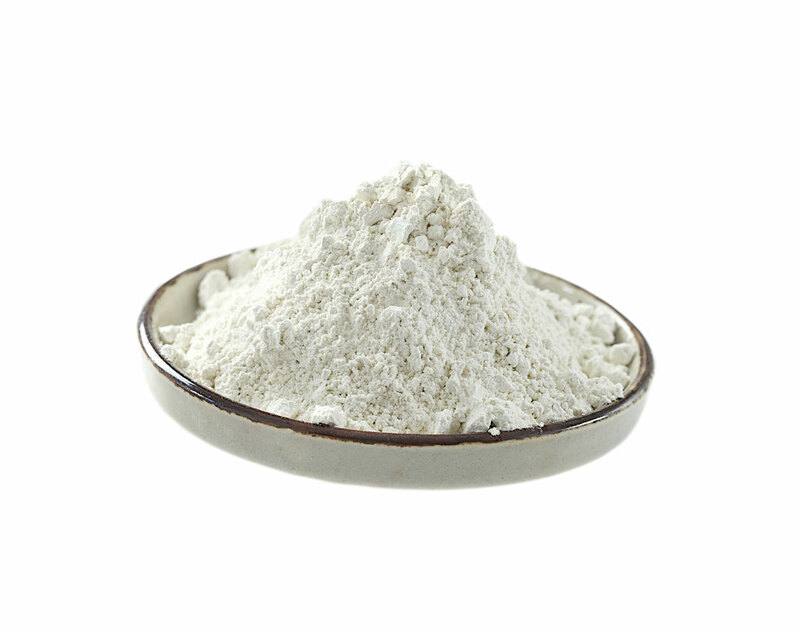 It also helps smooth skin by increasing collagen and elastin production. 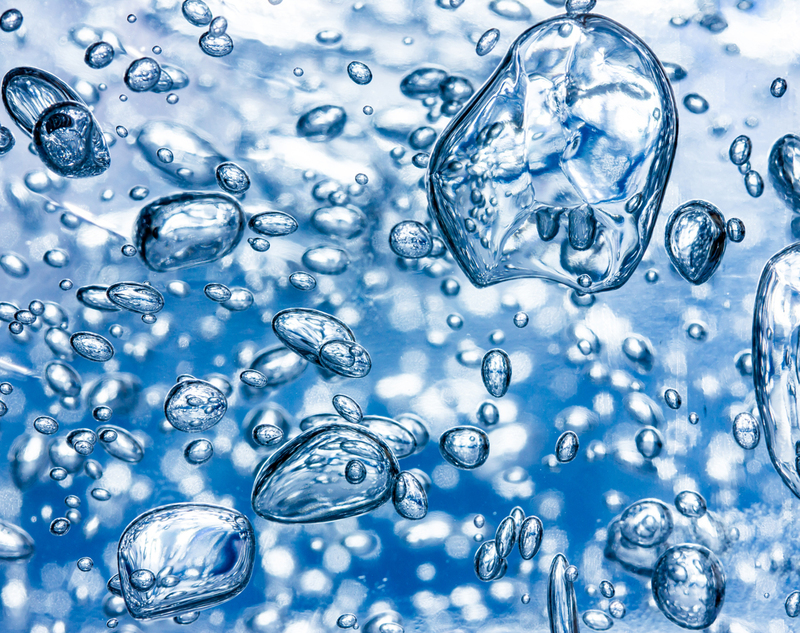 This mineral works to heal dry skin by keeping it moisturized internally while supporting the growth of new skin cells, which, in turn, may also help eliminate blemishes and scars. 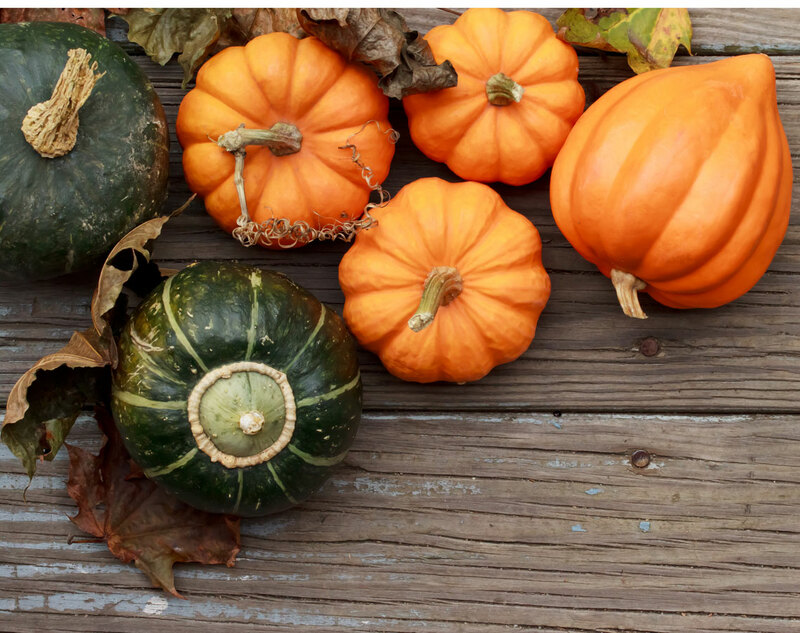 Rich in essential fatty acids, pumpkin helps fade fine lines and wrinkles in addition to reducing the appearance of stretch marks. 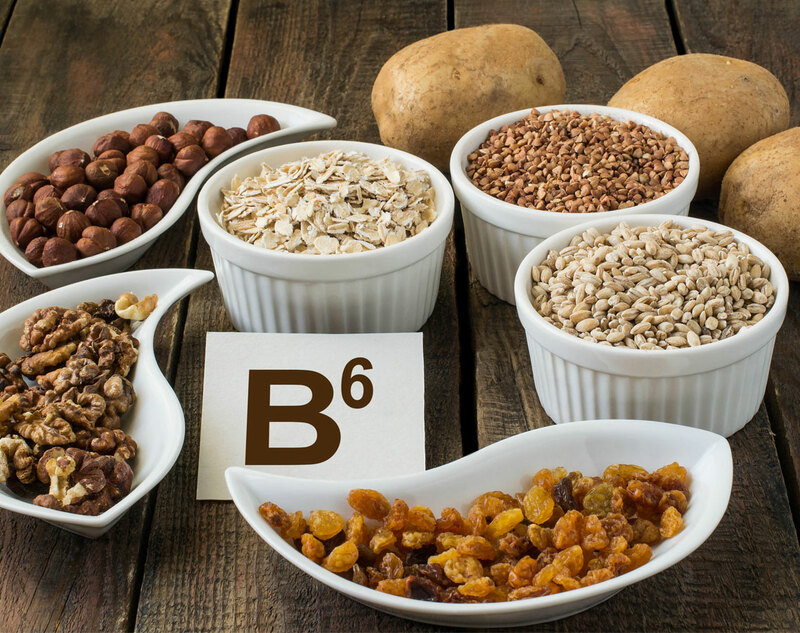 on the glycemic index (which means it won’t stimulate hunger when you eat it), and has also been linked to improved metabolism. 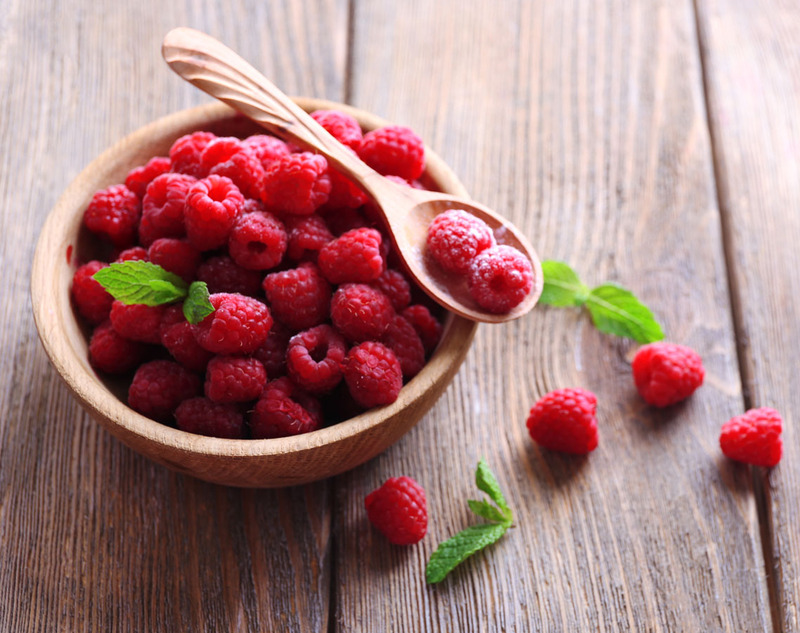 Red raspberry seed oil contains a high dose of essential omega fatty acids, which enhance skin’s barrier function and decrease epidermal water loss. It works as a natural moisturizer and sunblock with a UVB SPF of about 30. 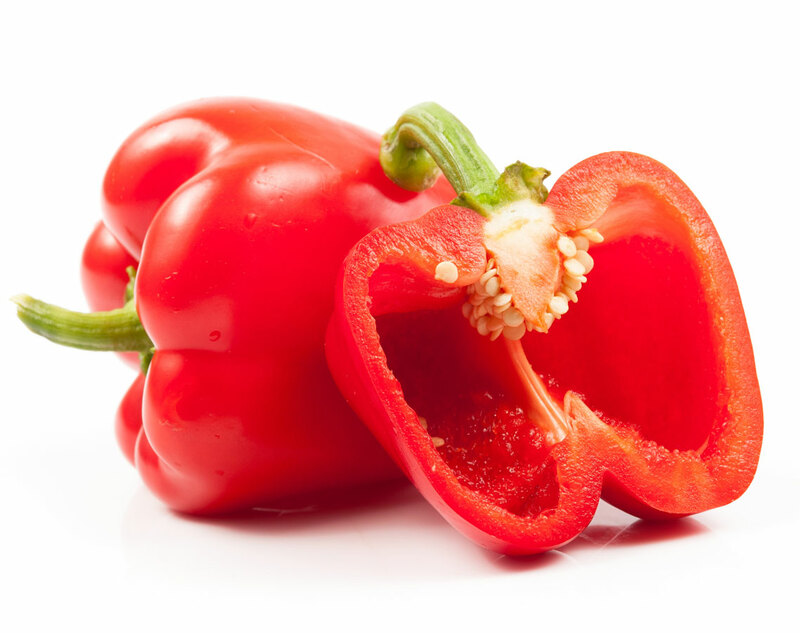 Both low in calories and chock-full of vitamin C, this type of pepper contains enzymes and phytochemicals that help protect the eyes from cataracts and muscular degenerations. 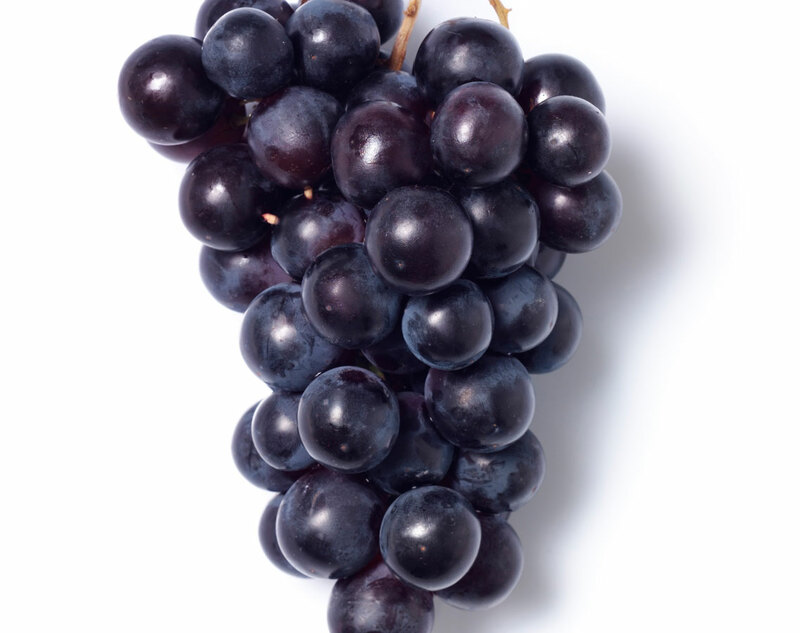 Resveratrol protects the body against heart disease, certain types of cancers and diabetes and may also be effective in fighting acne. 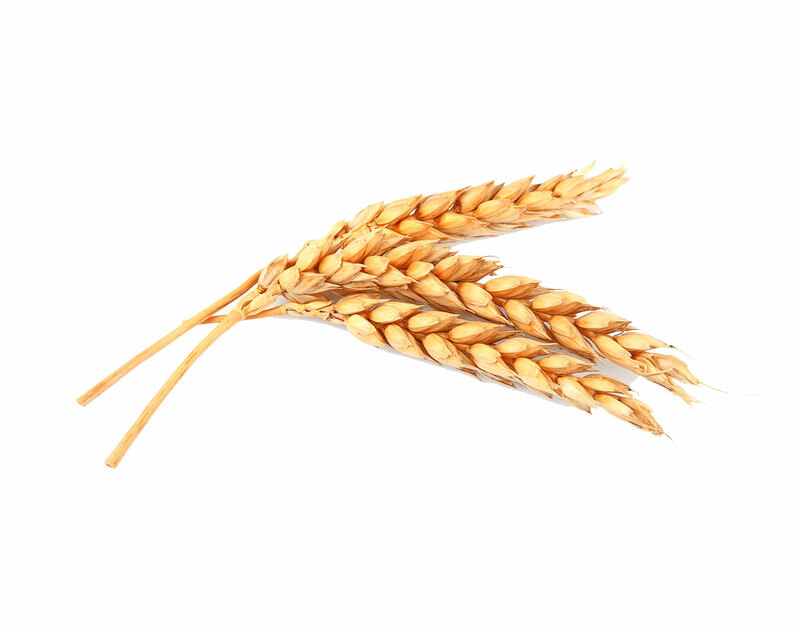 It also has been linked to the reduction of oxidative stress, which prevents the signs of premature aging. 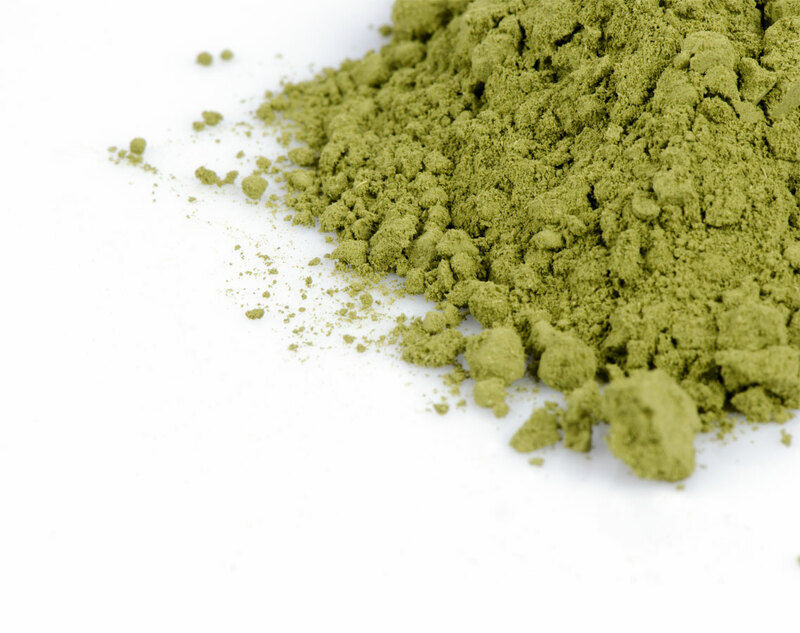 Rich in vitamins, nutrients and antioxidants, this ingredient boosts skin’s natural regeneration process to improve elasticity, leaving you with a more youthful appearance. 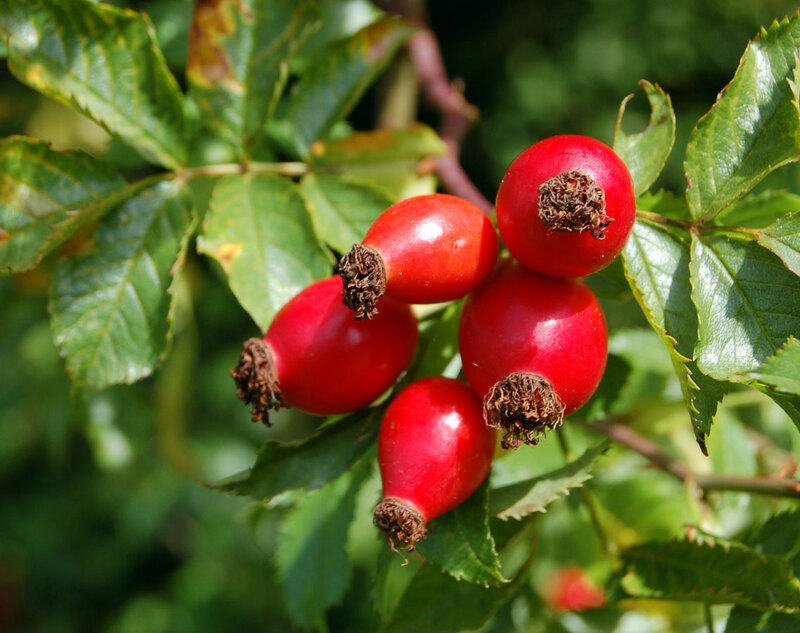 Chock-full of vitamins and essential fatty acids, rose hips are known to hydrate skin, correct itchiness and remove dark spots while reducing scars. 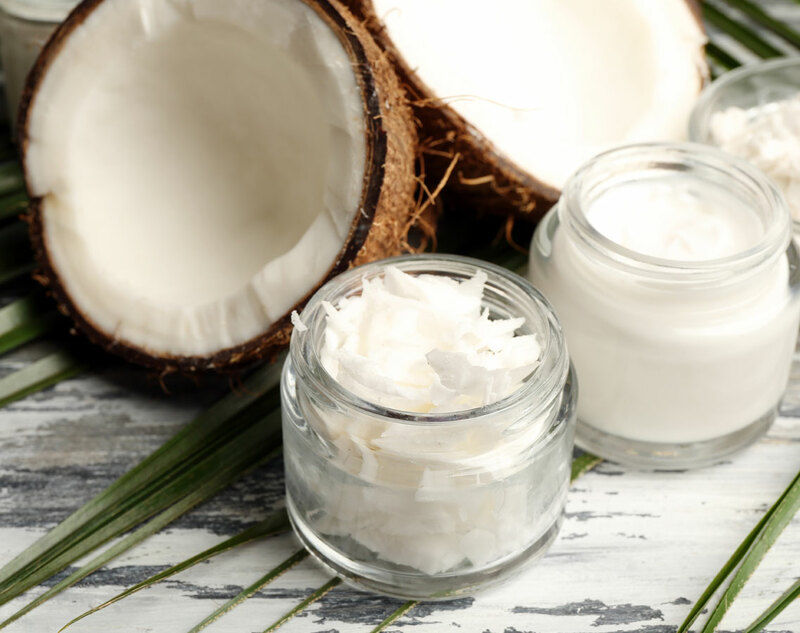 Some even believe this ingredient could be the next coconut oil. 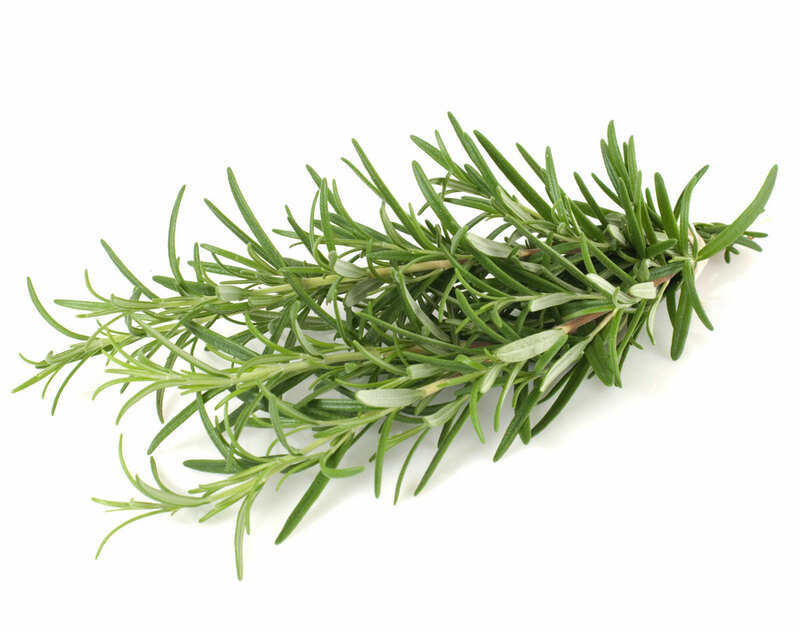 Often used as an emollient to hydrate dry skin and refine texture, rosemary also helps calm skin and soothe redness and inflammation thanks to its anti-inflammatory properties. 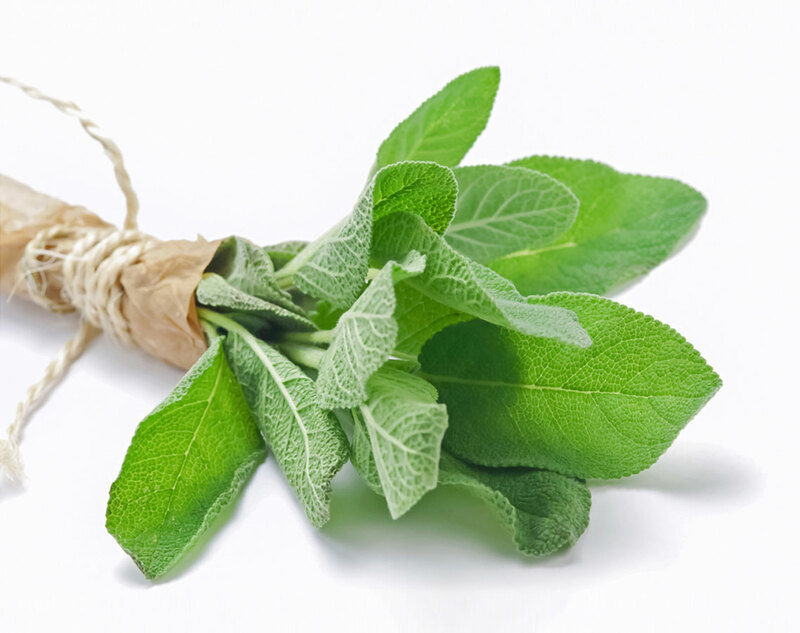 The essential oil extracted from sage is often blended into massage oils in aromatherapy, as it relieves nervousness, stress, headaches, anxiety and fatigue. 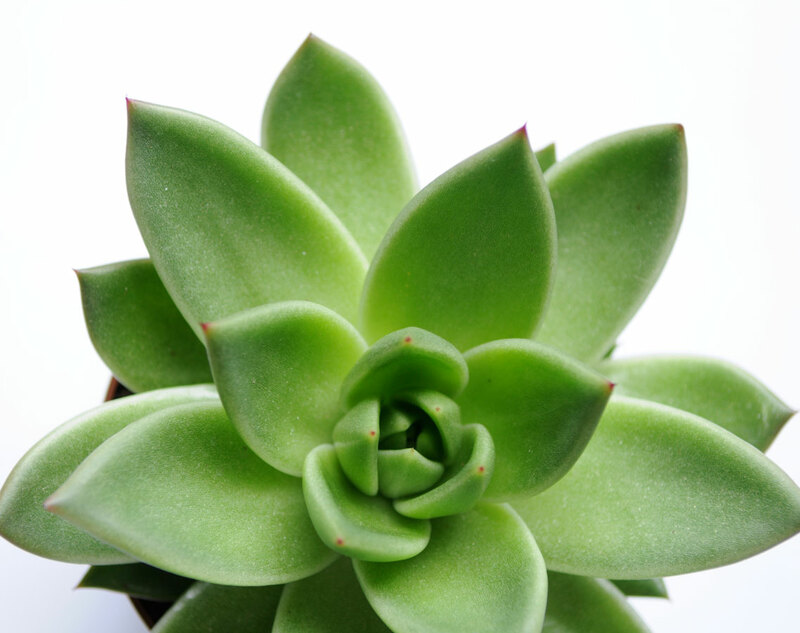 It also has antibacterial properties, which help reduce signs of aging such as inflammation. 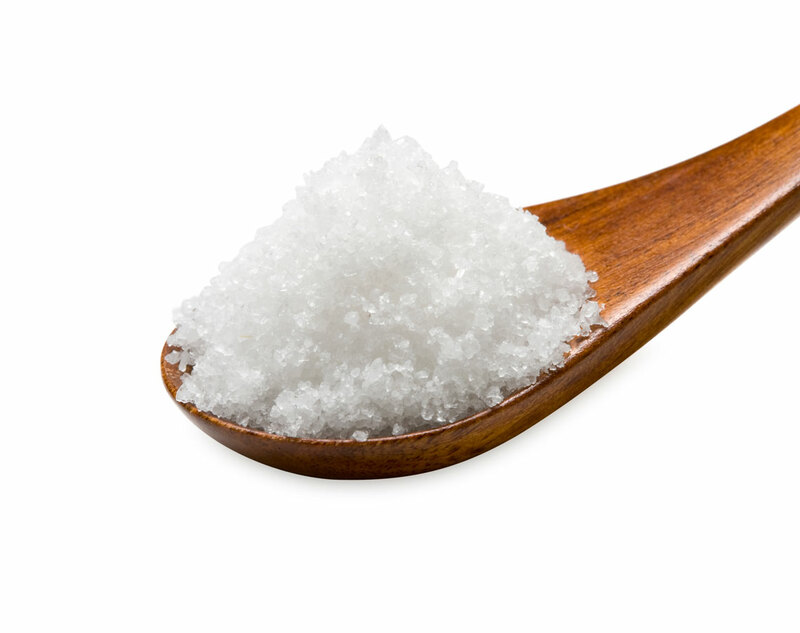 A by-product of ocean water or saltwater lake evaporation, sea salt is not heavily processed and is said to be better than table salt since it has a higher level of trace minerals and elements. 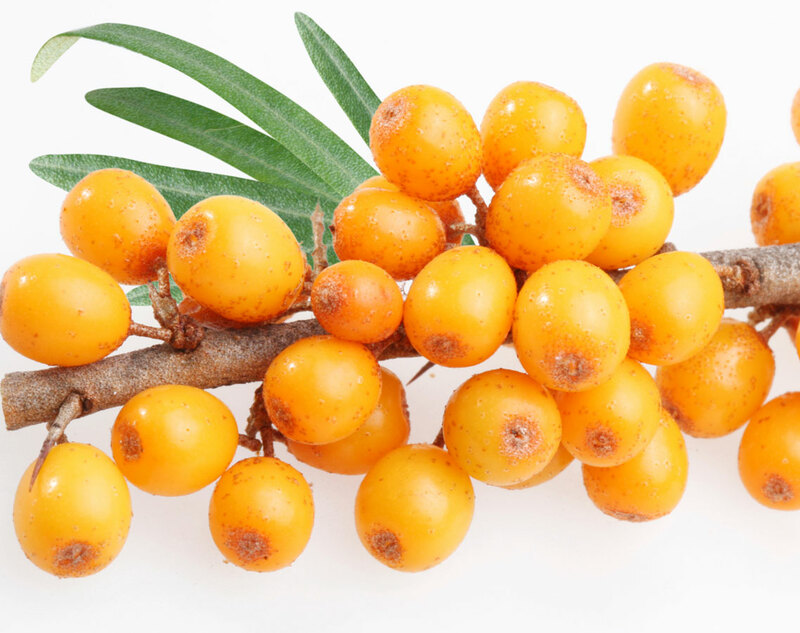 ￼￼￼￼￼￼￼￼Sea buckthorn features an abundance of vitamins, antioxidants and amino acids that purportedly help slow down the aging process and also treat acne, dry skin, dermatitis and eczema. Packed with vitamins, this moisturizing ingredient helps nourish both the hair and skin and contains healing properties that help soothe skin allergies, sunburns and dry and/or itchy skin. 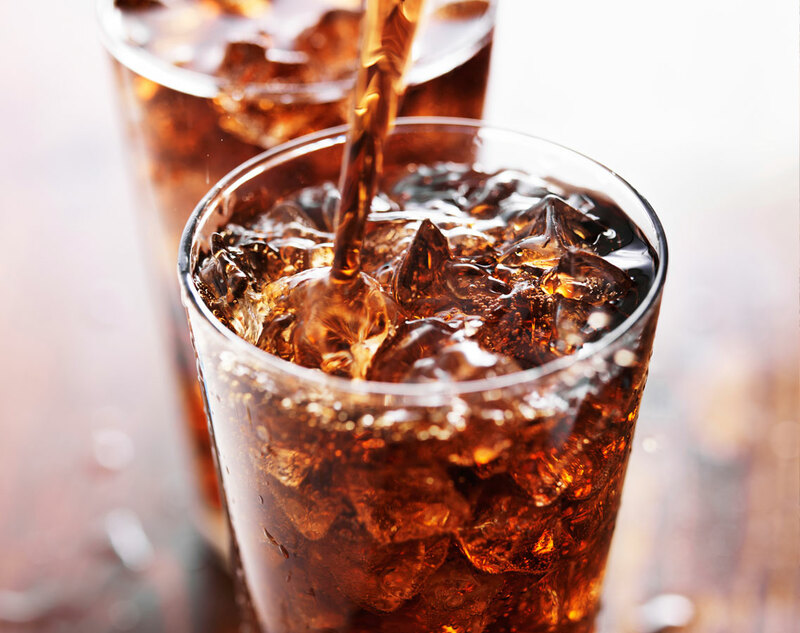 Most types of soda are connected to health issues such as obesity, heart disease, diabetes and tooth decay when consumed in large quantities on a regular basis. If you must include soda in your diet, choose lighter-colored options versus those that are darker (they can stain your teeth) and limit your intake. 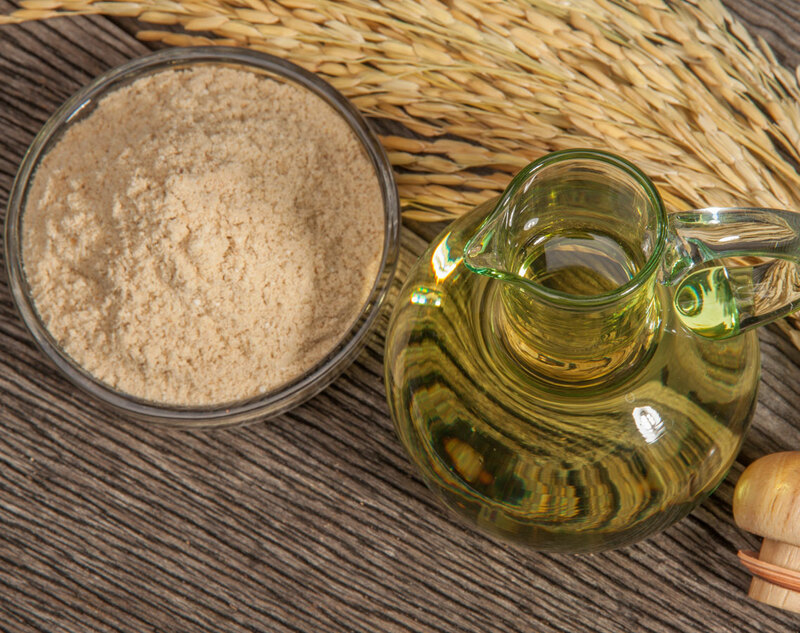 High concentrations of protein and fiber in this ingredient help diminish wrinkles, prevent pigmentation and improve the appearance of aging skin. This incredibly healthy green veggie delivers a bevy of anti-inflammatory and anti-cancer benefits to promote healthy internal functioning, thanks to its potent vitamins. 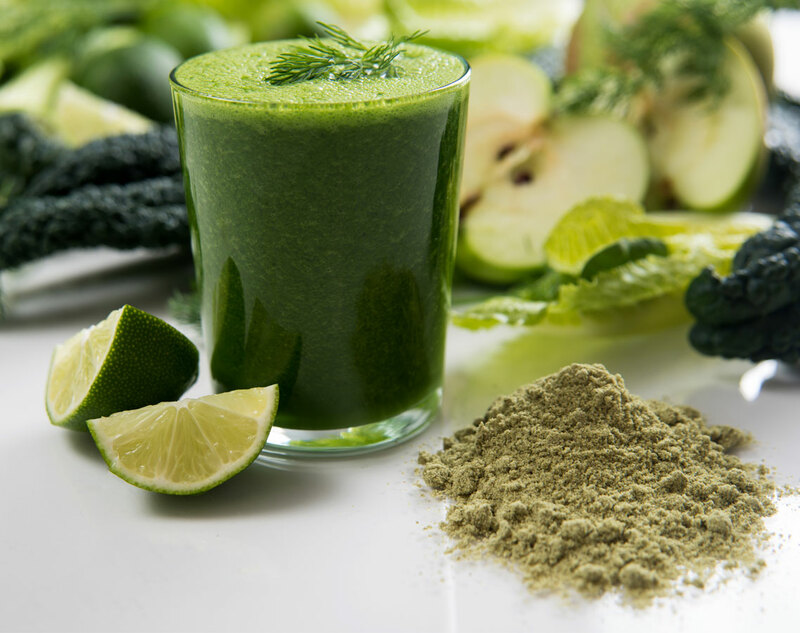 A natural type of algae that comes in powder form, spirulina is full of amino acids (protein), iron, antioxidants and B-vitamins that help give the immune system a boost when it needs it. Mix it into a smoothie and enjoy! Rich in vitamins, nutrients, antioxidants and protein, this plant-based ingredient softens and soothes chapped and irritated skin, works to reverse sun-damage, lightens dark under-eye circles and helps reduce the appearance of fine lines and wrinkles. 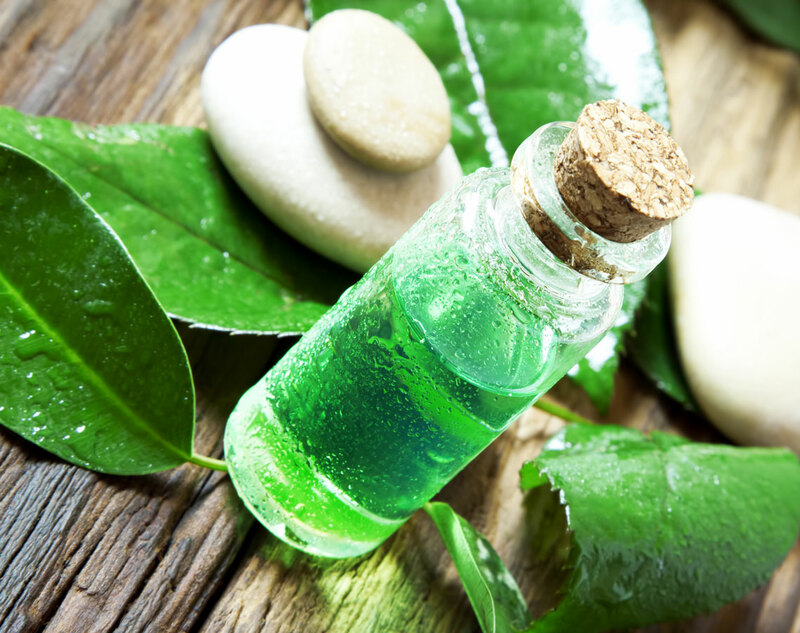 Due to its antifungal and antiseptic properties, this ingredient helps subdue the symptoms of acne, fungal infections, cuts, burns and insect bites. This gluten-free, low-cal food is an excellent meat substitute for those who favor a plant-based diet. 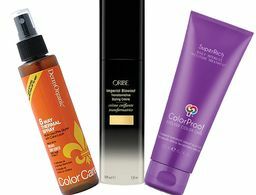 It also promotes healthy-looking hair by delivering key proteins. 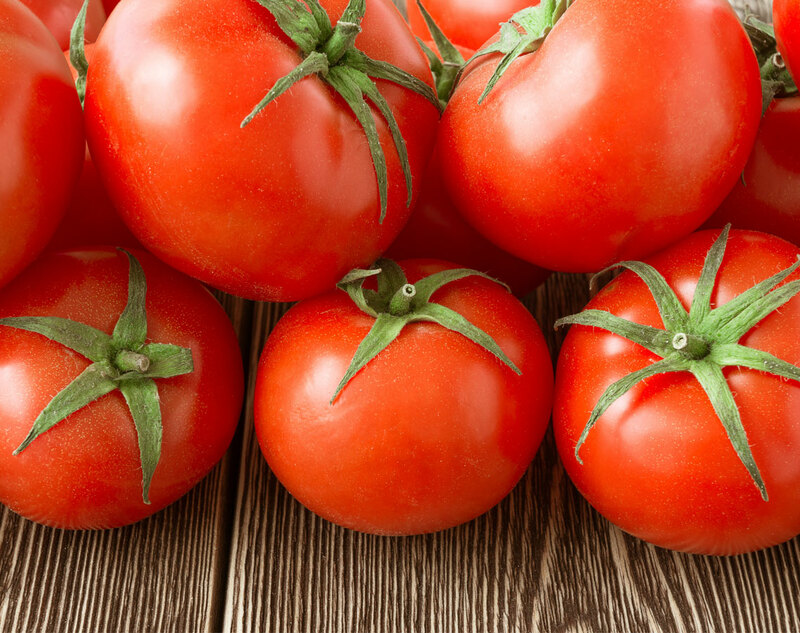 Available in all seasons, tomatoes contain a superantioxidant called lycopene that works to protect skin from ultraviolet light and cellular damage. Some say it also helps keep acne at bay. 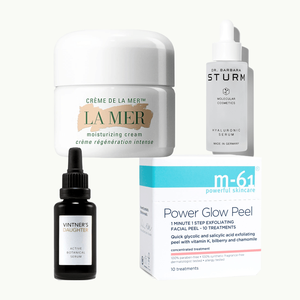 Used to treat skin conditions like acne and eczema, this ingredient can also heal wounds, reverse sun damage and reduce the appearance of fine lines and wrinkles. 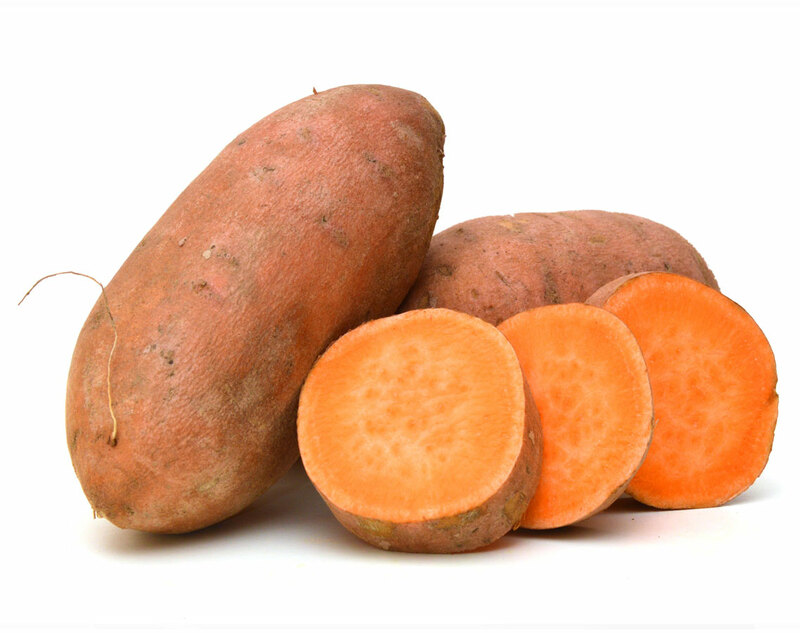 It can be found in sweet potatoes. Found in meat, fish and poultry, this beneficial vitamin contains enzymes that help prevent acne and reduce skin inflammation that causes rosacea flare-ups. 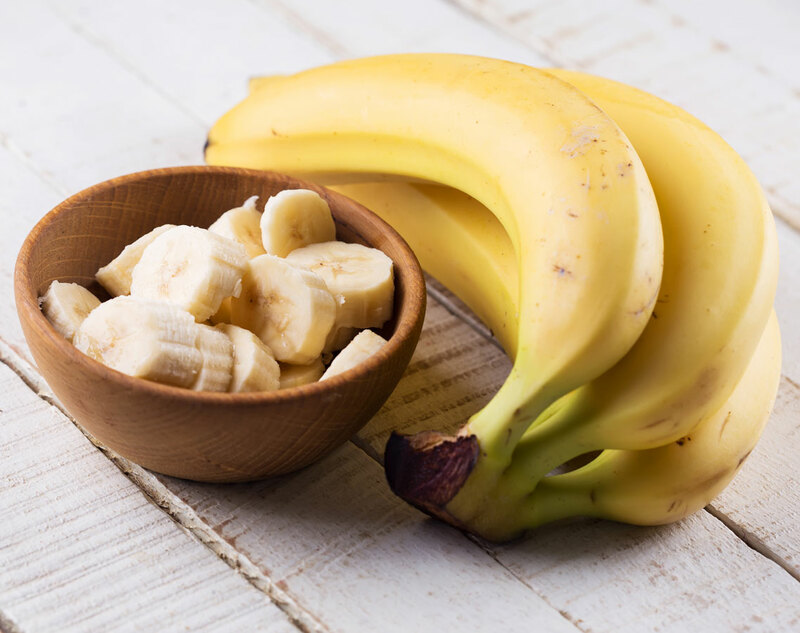 Fundamental for an overall healthy body (think bones, teeth, gums and blood), this ingredient protects against free-radical and sun damage, creates collagen and is even thought to help relieve the symptoms of the common cold. 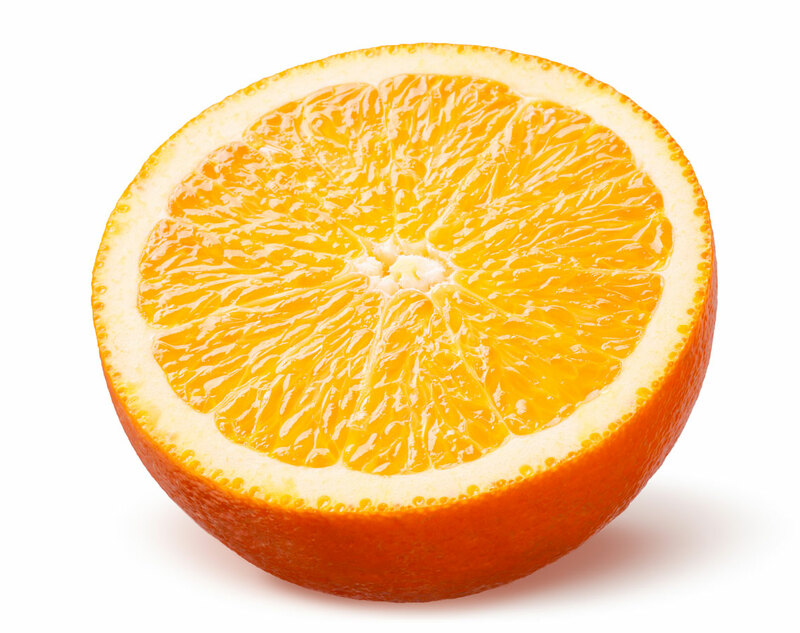 It can be found in oranges. This antioxidant-rich ingredient fends off free-radicals, slows down the processes that damage the skin and helps heal and prevent scars. It can be found in sunflower seeds. 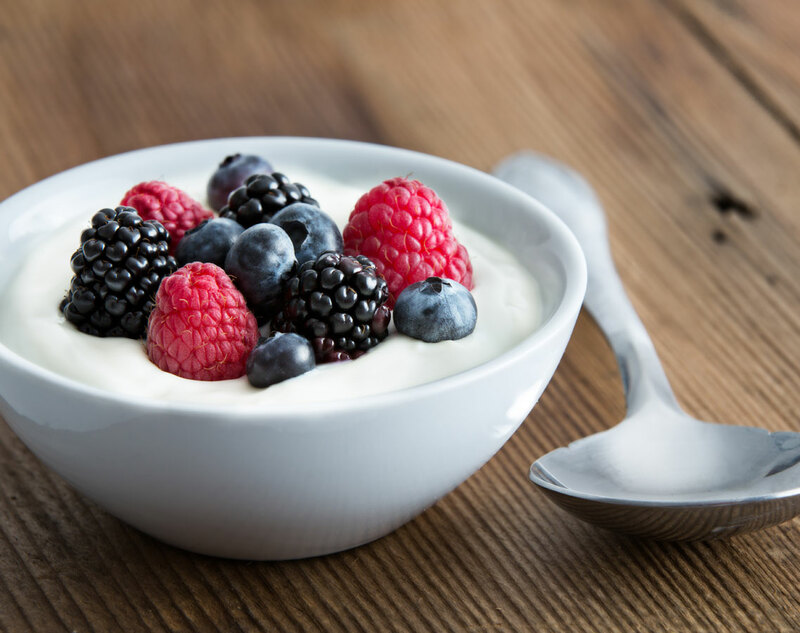 Most varieties of these small, yet heart-healthy snacks contain an abundance of proteins, vitamins and minerals that help maintain the youthfulness and integrity of skin cells. 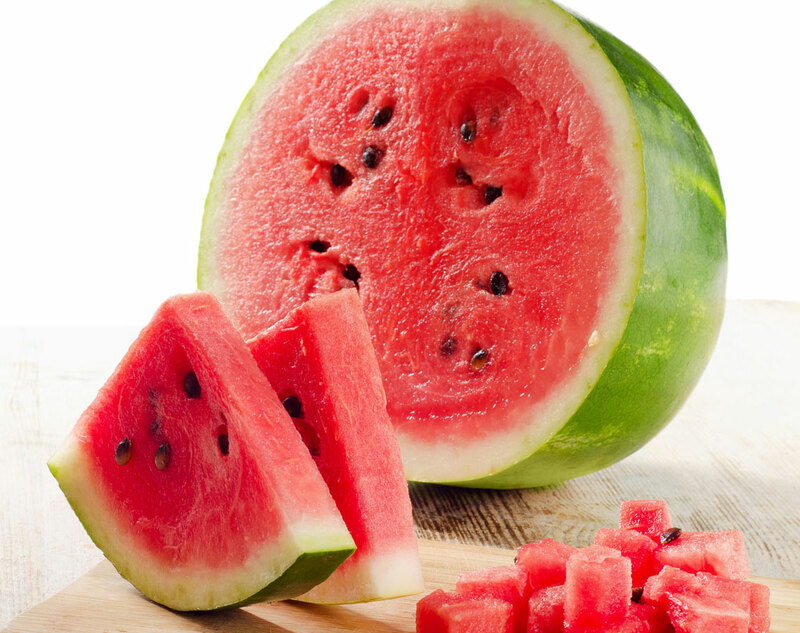 Low in calories and high in vitamins A and C, watermelon is said to help hydrate skin and fight free radicals with its large amount of lycopene (a potent antioxidant). skin from free radicals that can accelerate signs of aging. 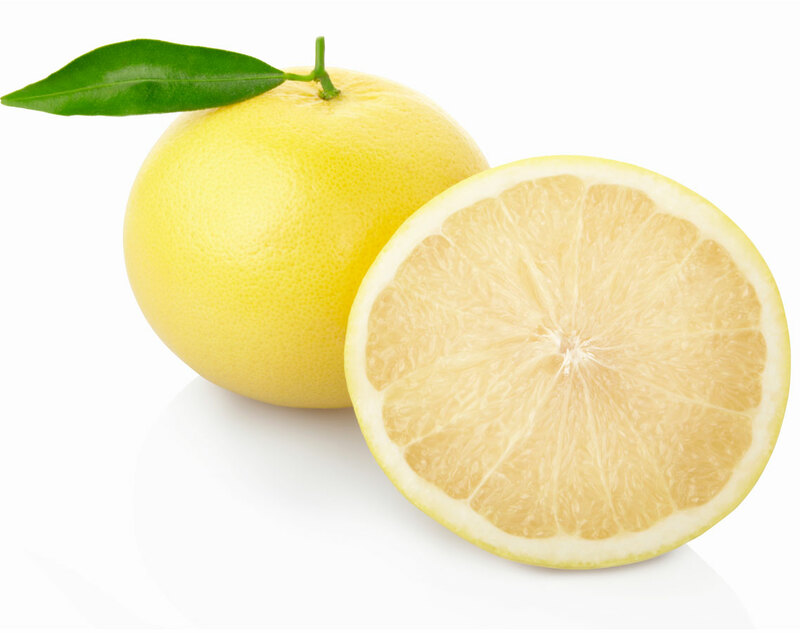 Tangy and refreshing, this juicy fruit not only tastes good, but also helps promote digestive health and reduce inflammatory conditions such as asthma.